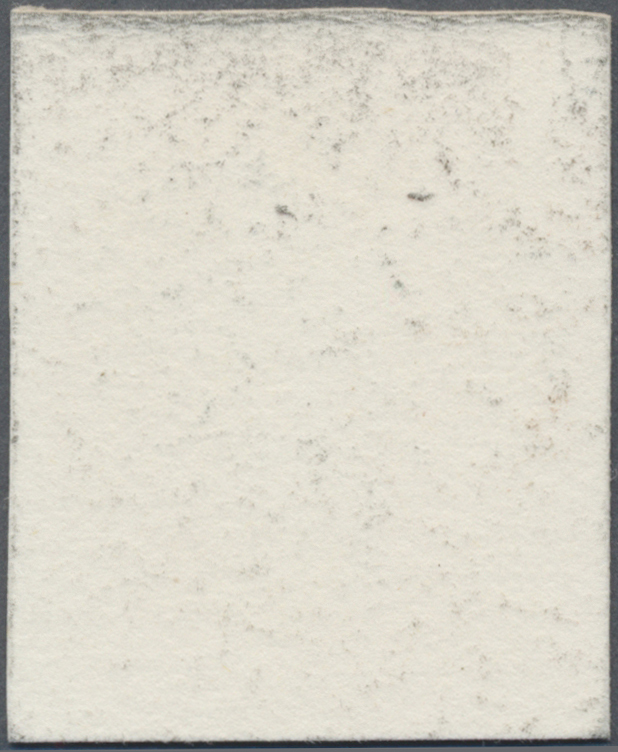 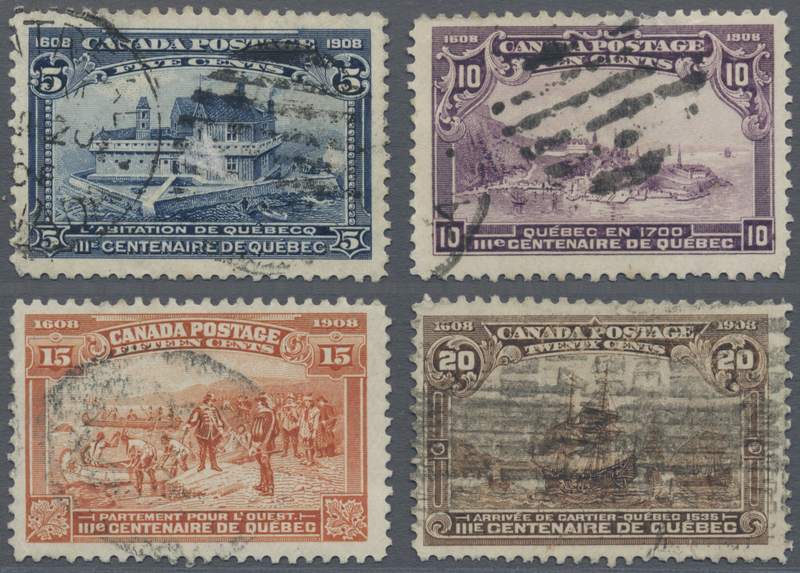 11735 gestempelt (marked) SG 191, 193-195 1908 'Quebec' 5c., 10c., 15c. 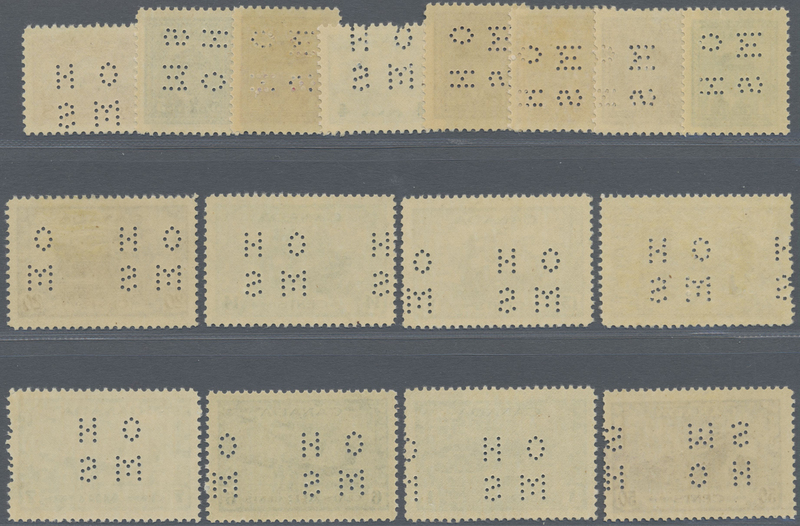 and 20c., all used, the 5c. 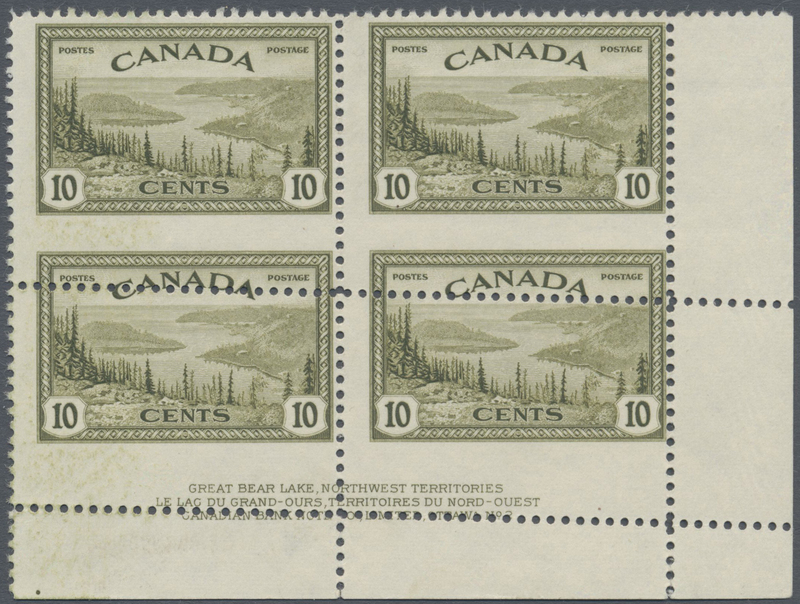 and 10c. 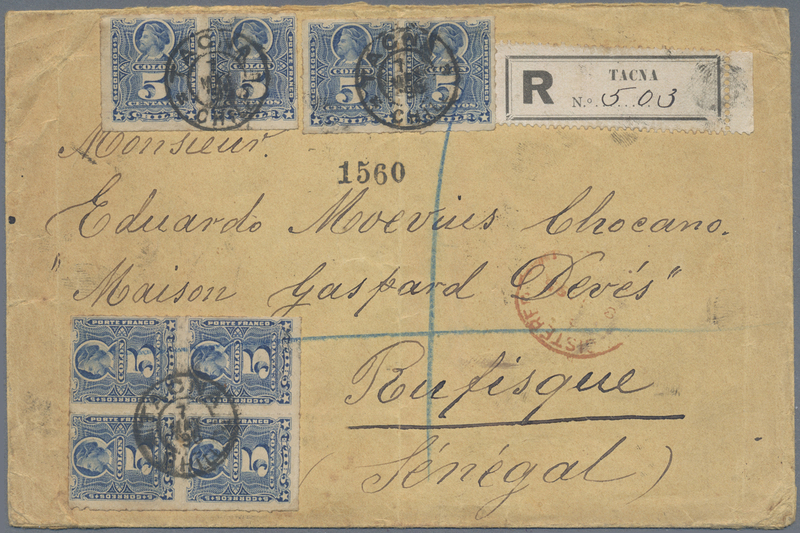 with a small tin at top, the 15c. 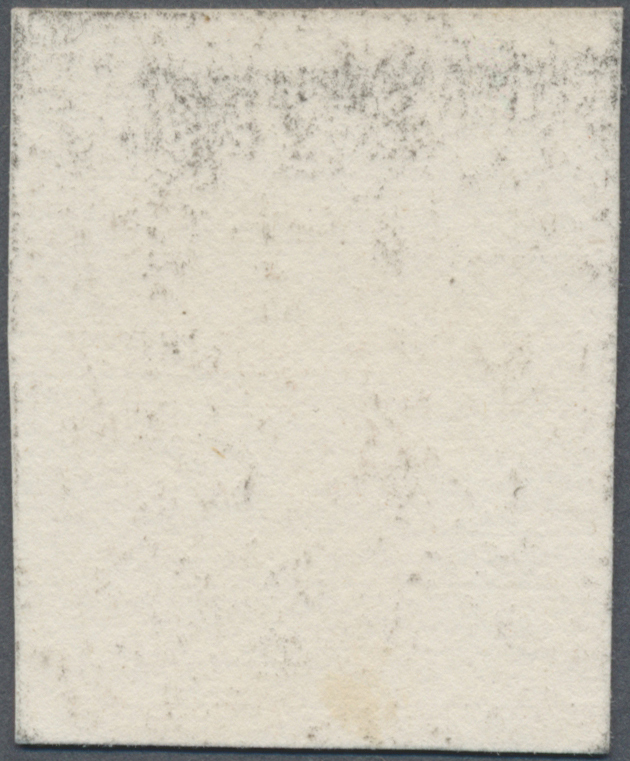 with a thin and diag. 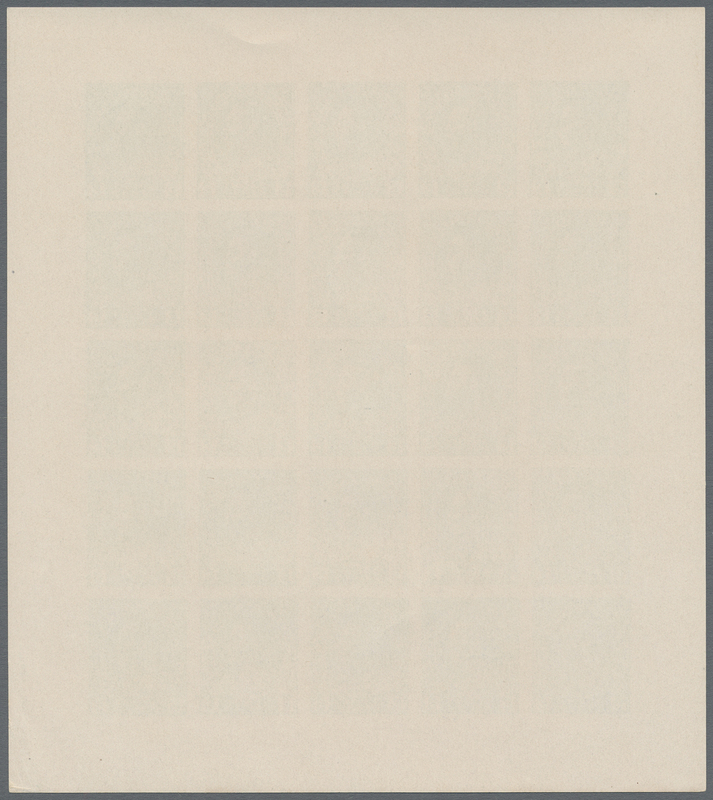 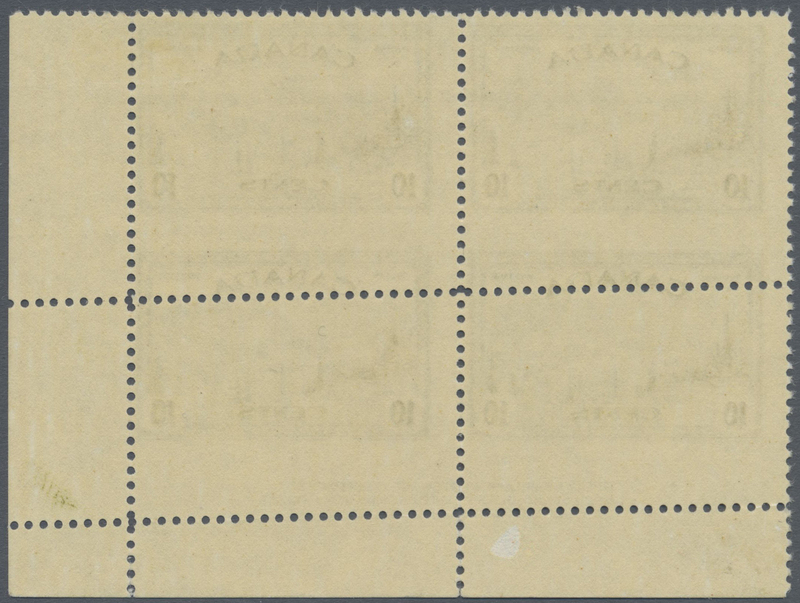 creases at upper left, good to fine. 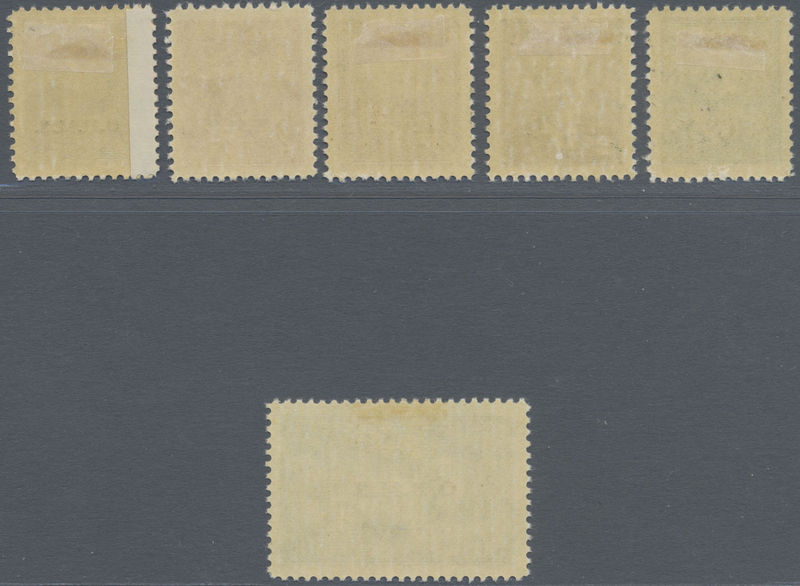 11736 ungebraucht ohne Gummi (unused without gum) (*) 1911: King George V Era -- Admiral Issues. 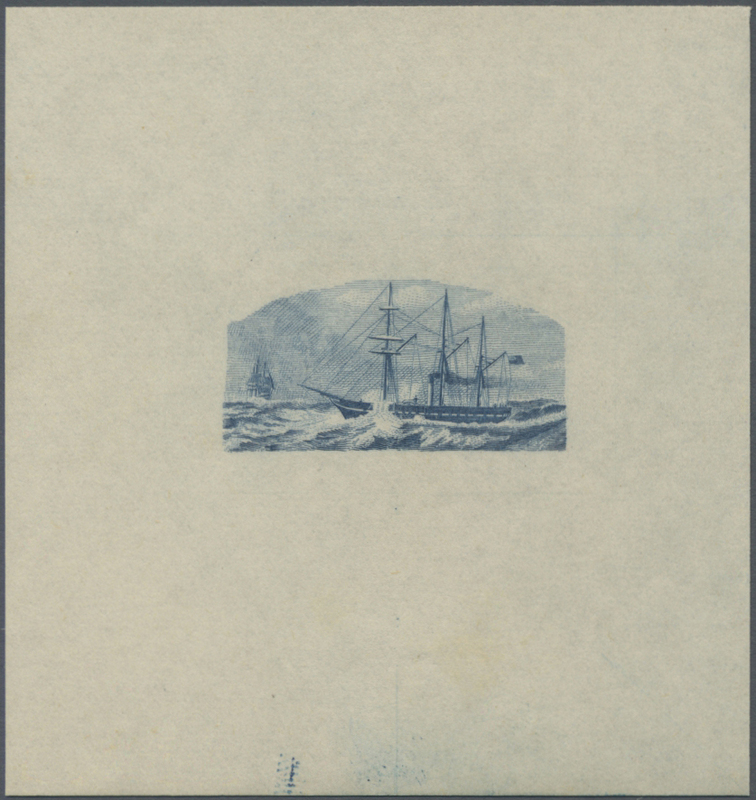 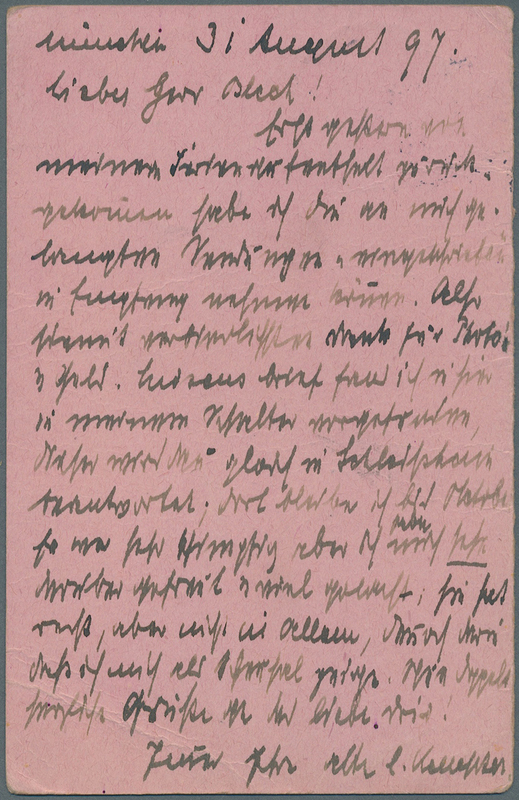 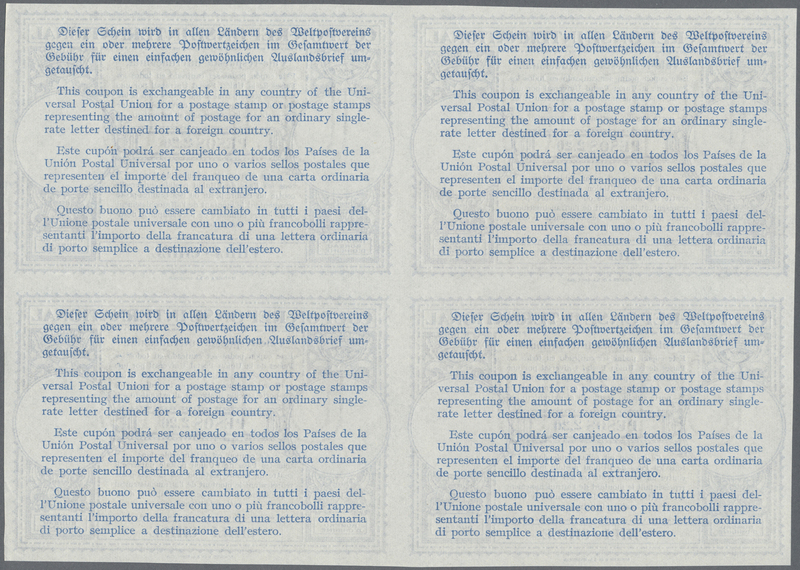 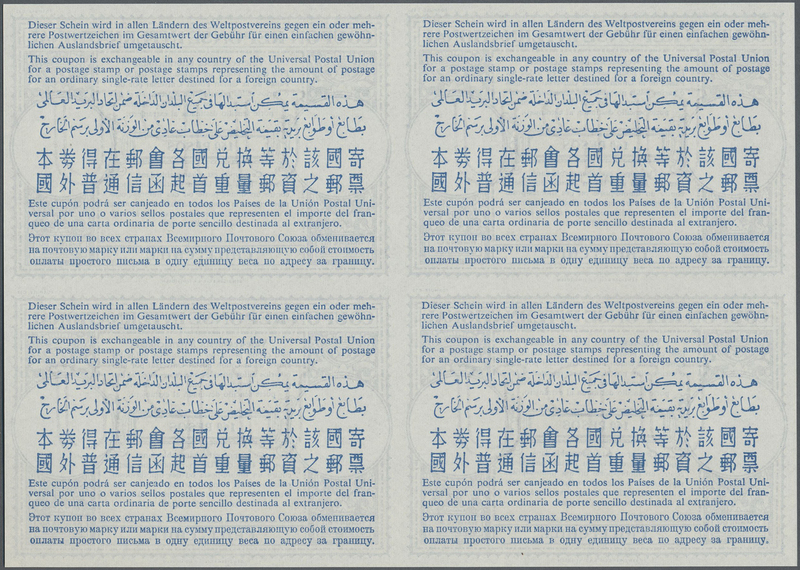 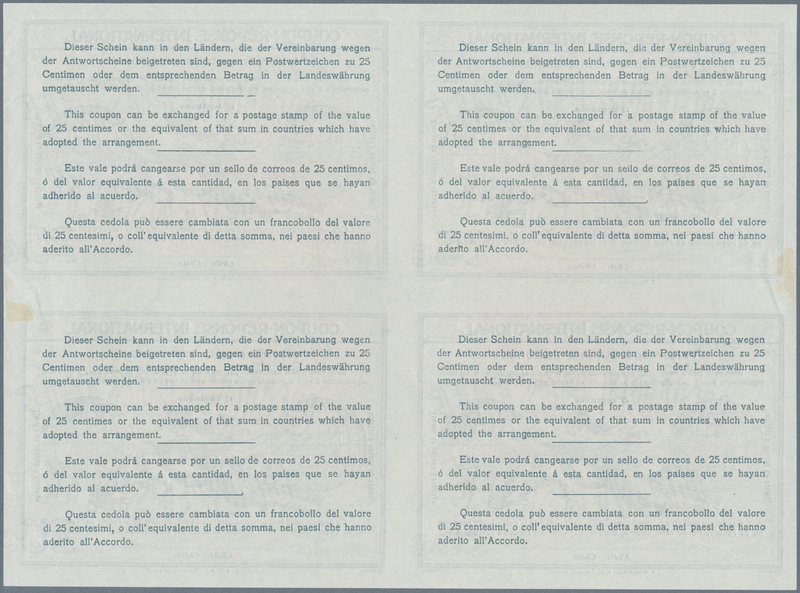 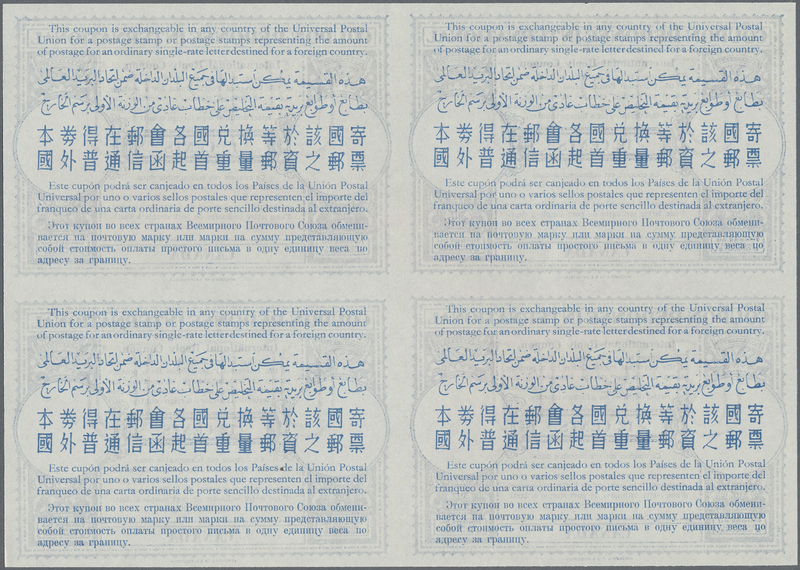 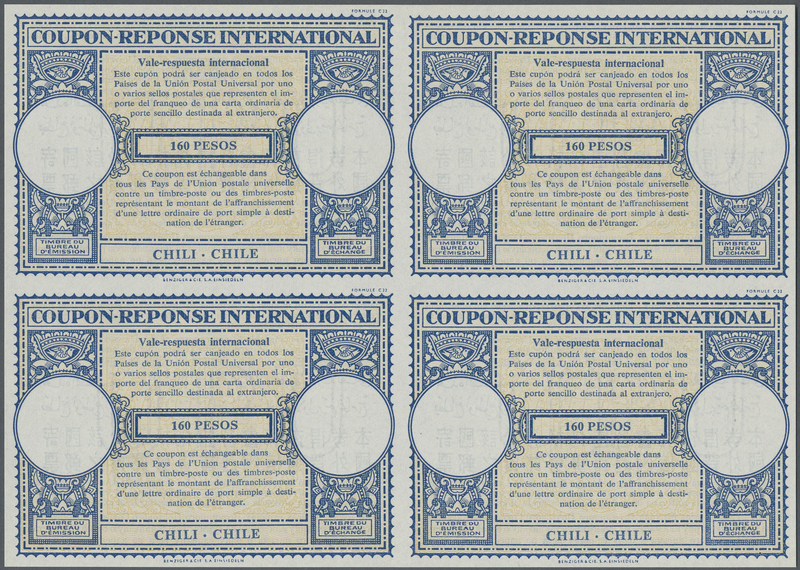 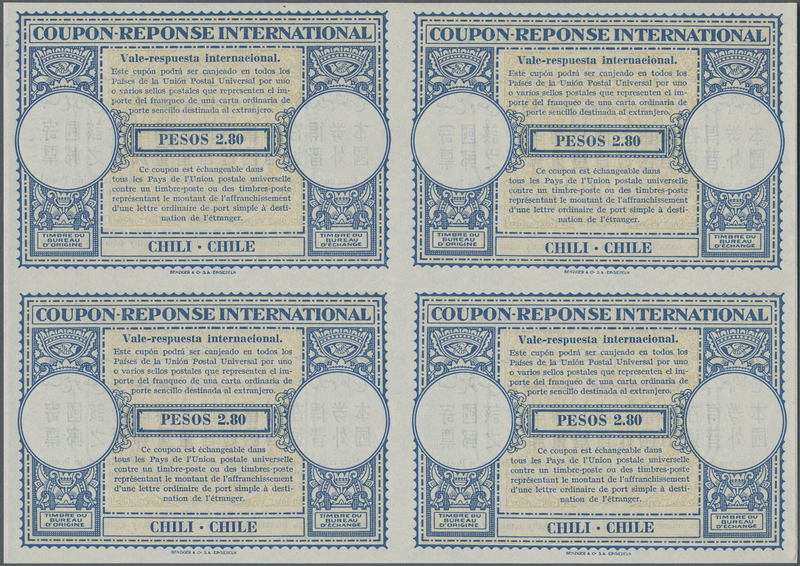 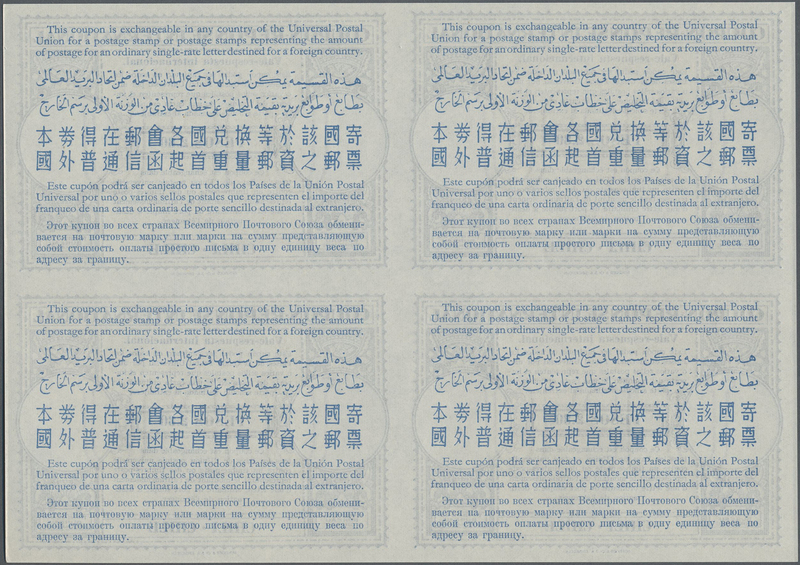 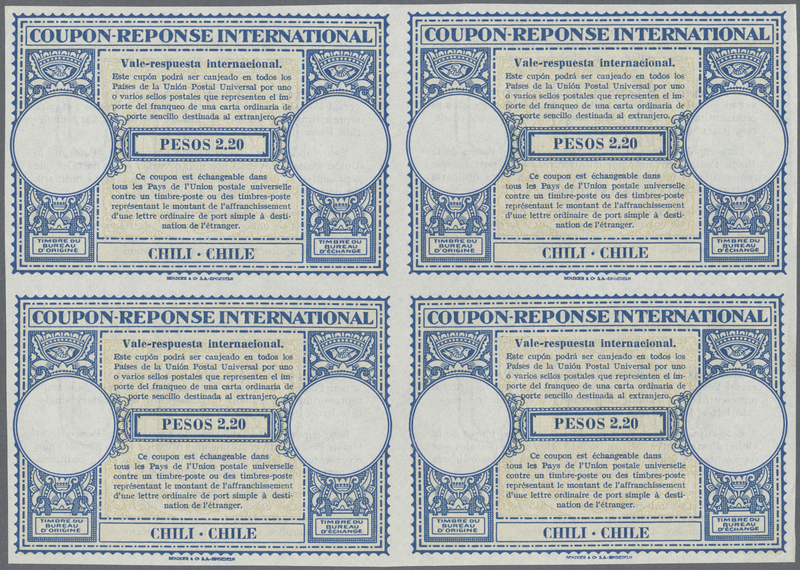 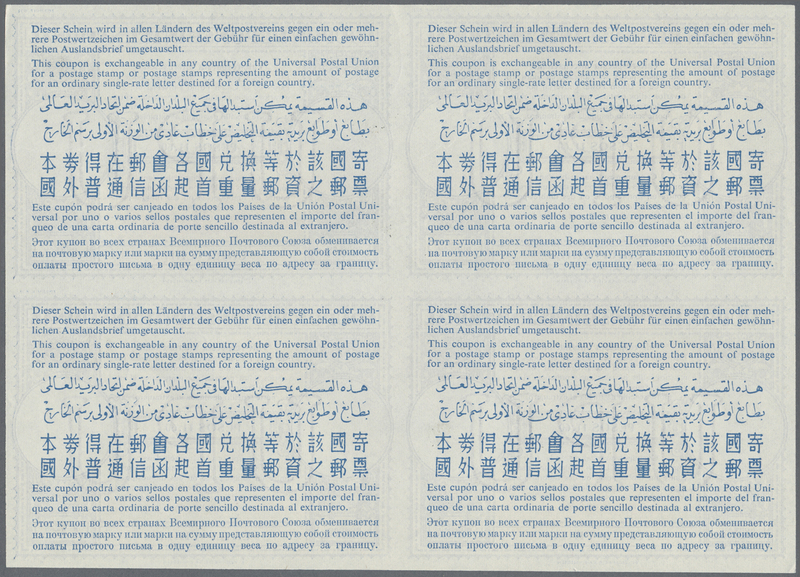 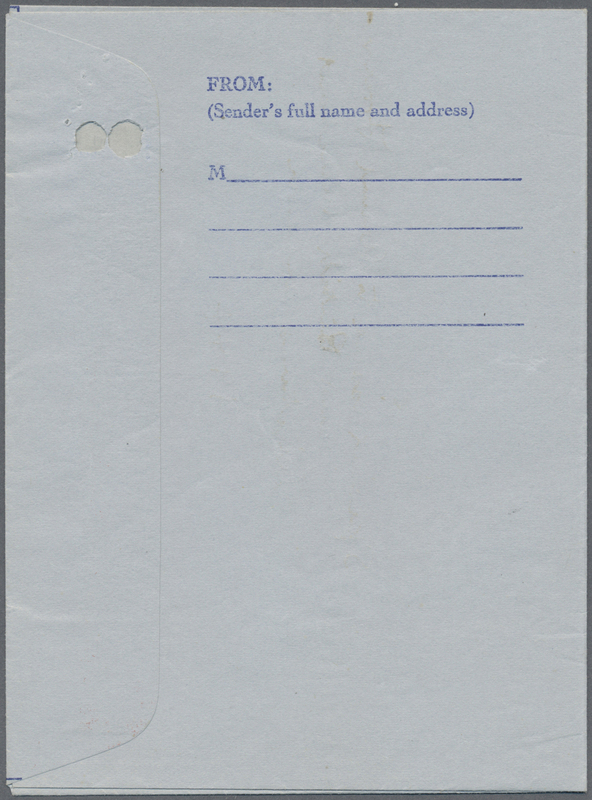 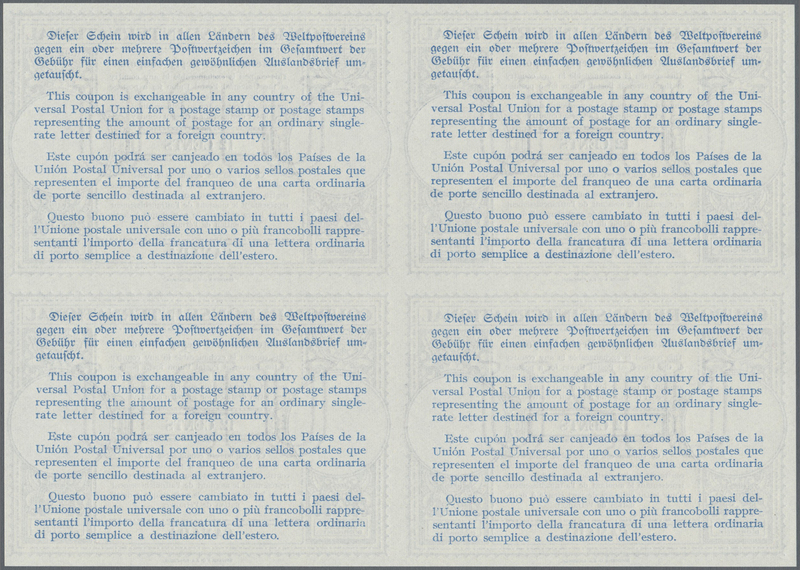 ECKERLIN PLATE 'ESSAYS' full sheet of 25 of the 3 cents value in DARK BLUE printed in 1928 on stiff card with the Admiral design in a reversed and enlarged format (to prevent accusations of forgery) for presentation to the American Bank Note Co. in hopes of selling them Dr. Eckerlin's rotary press process for intaglio printing (developed by Herbst & Illig in Germany). 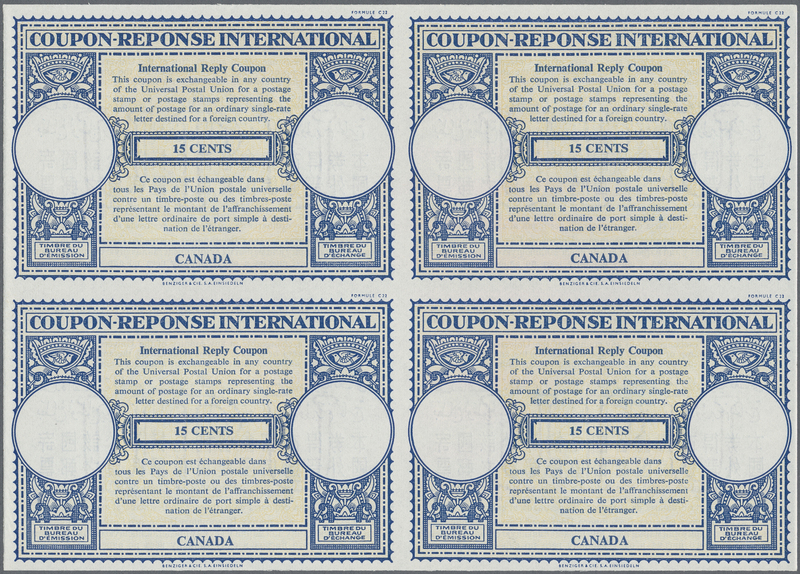 RARE AS FULL SHEETS (most have now been cut into singles or pairs). 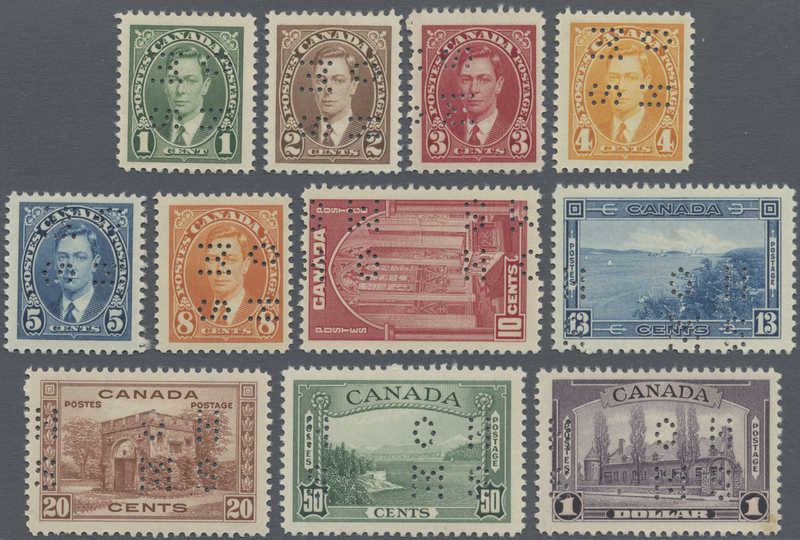 The 25 stamps are all in Choice and very fine condition. 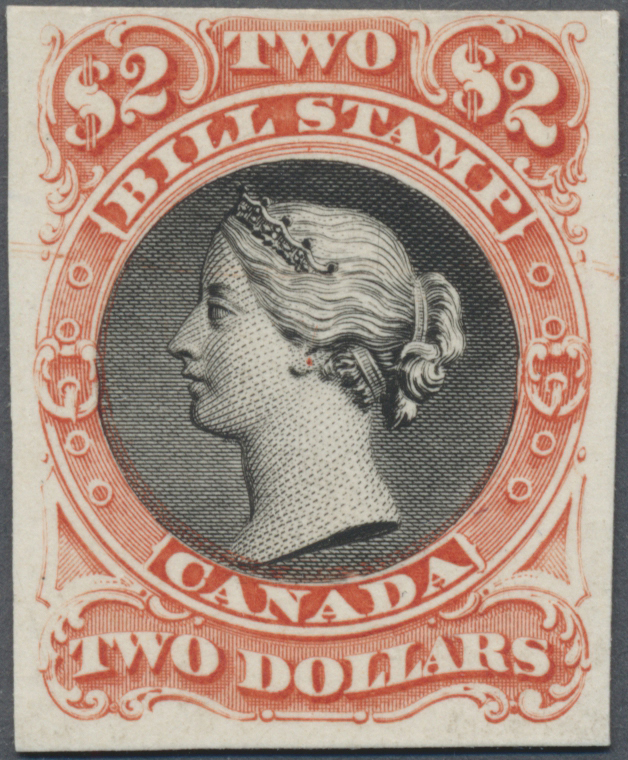 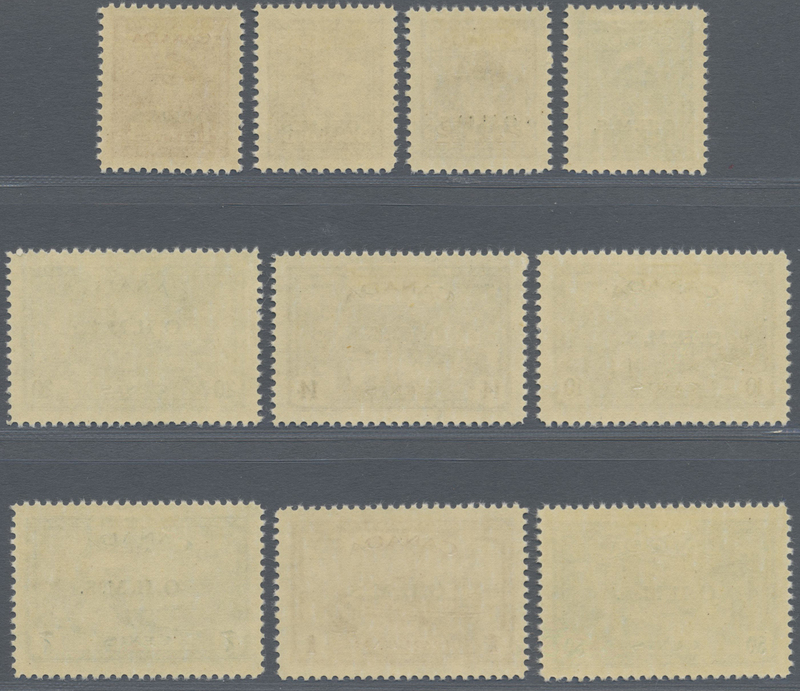 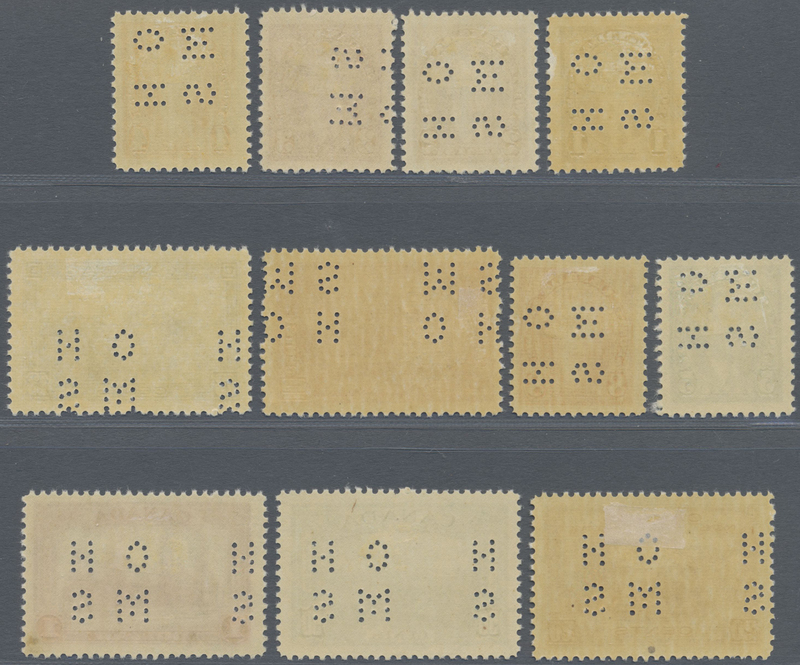 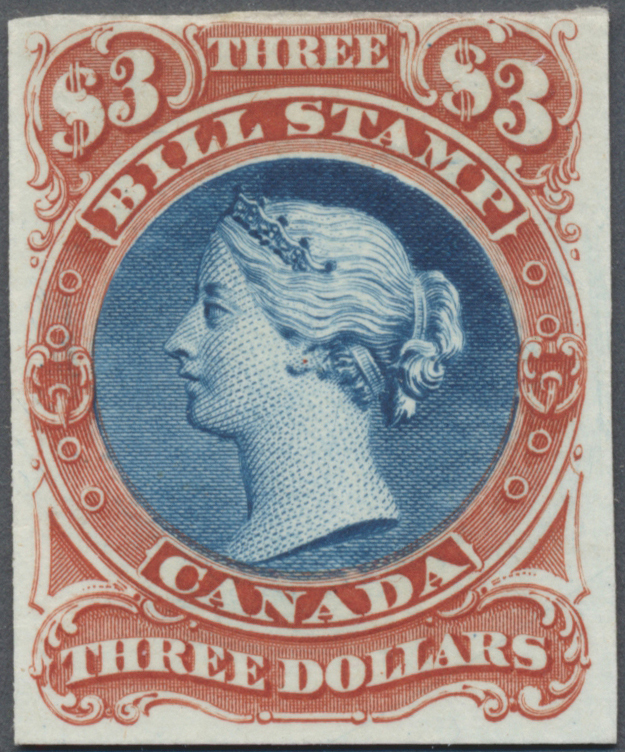 The Brigham Canada collection had as largest multiple only a bloc of nine of the 3 cents in dark-green which was described as "possibly unique" (see lot 8), for the other colours a bloc of four was the largest multiple. 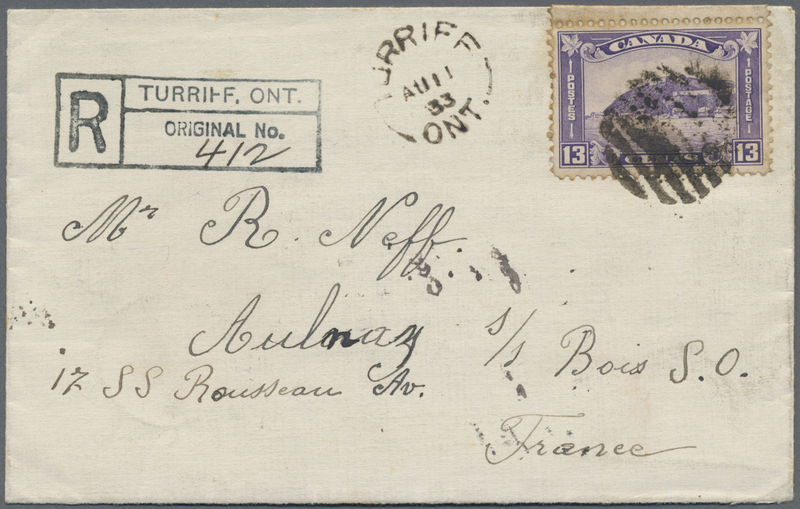 11737 Brief (cover) SG 325 1933 Registered cover from Turiff, Ont. 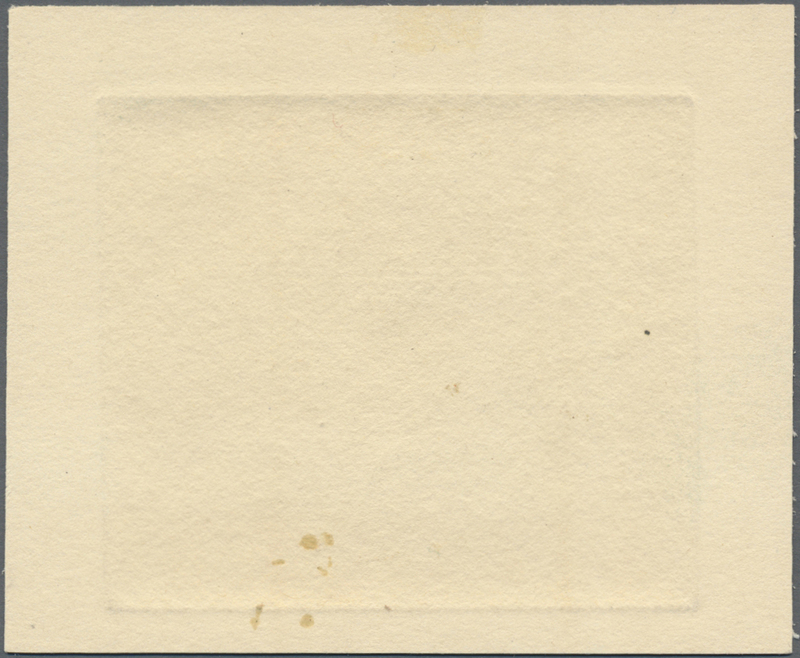 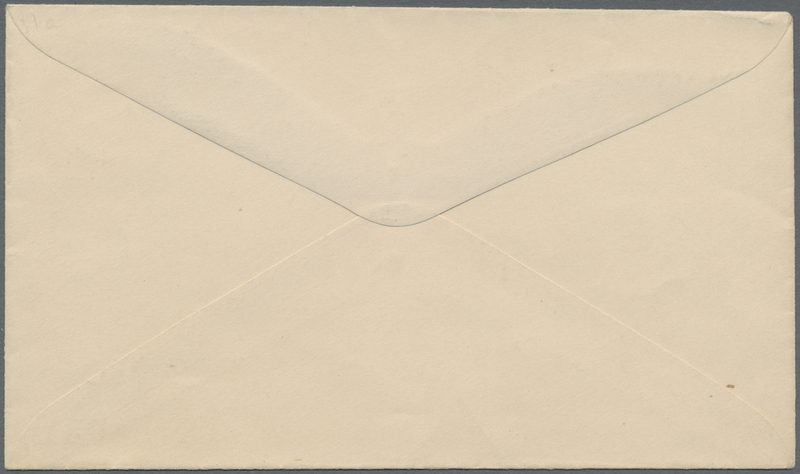 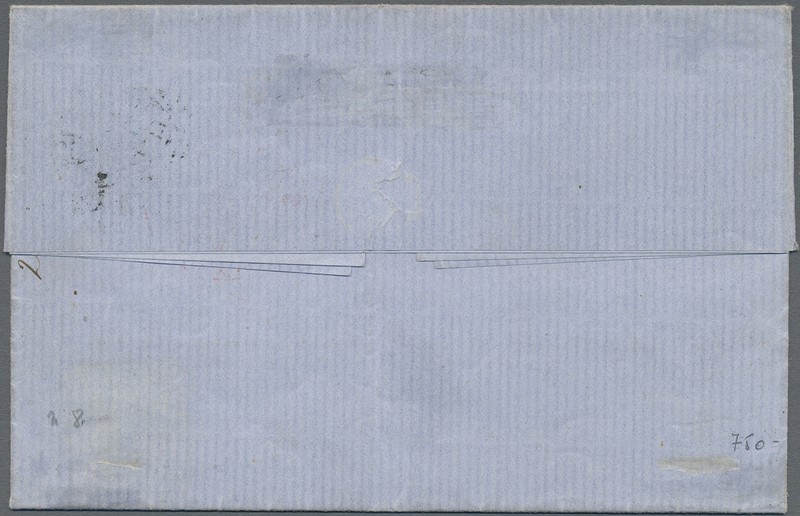 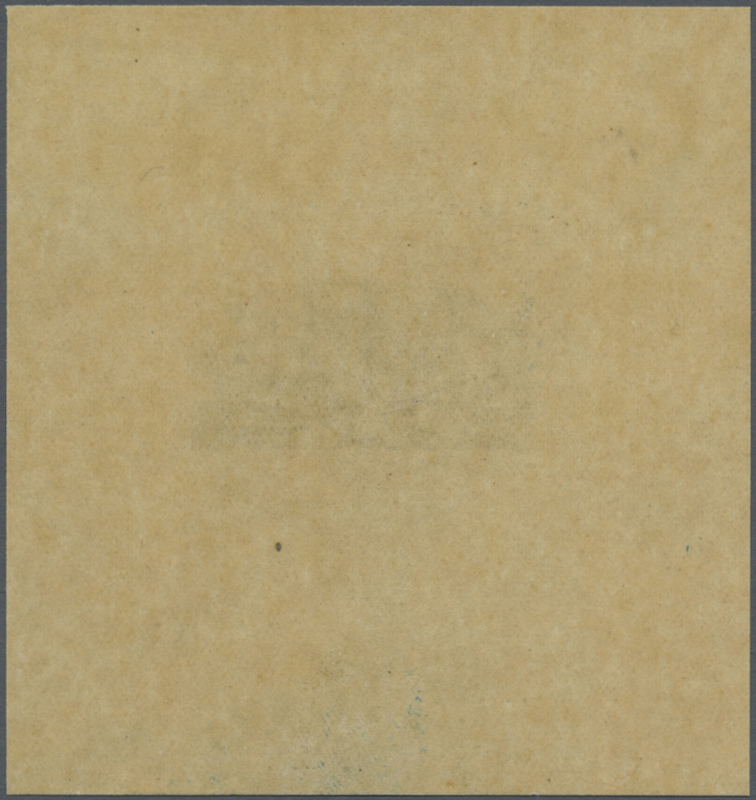 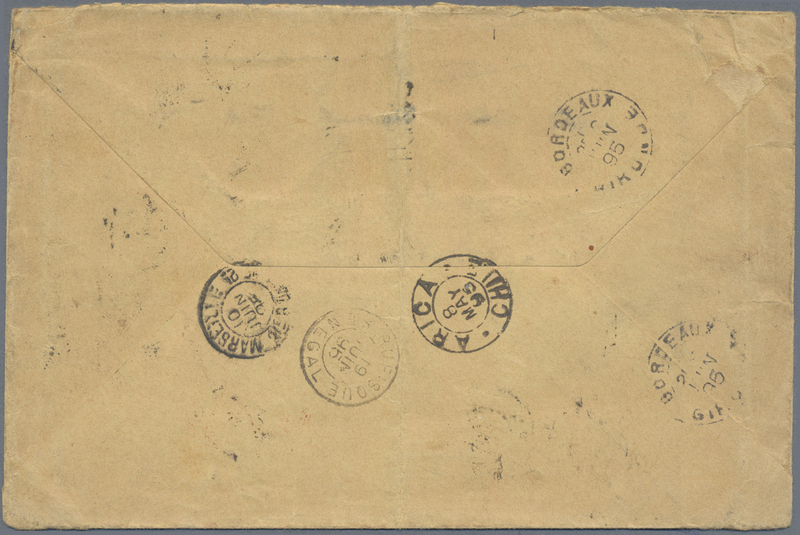 to Alnay /s Bois, France franked by 1932 13c. 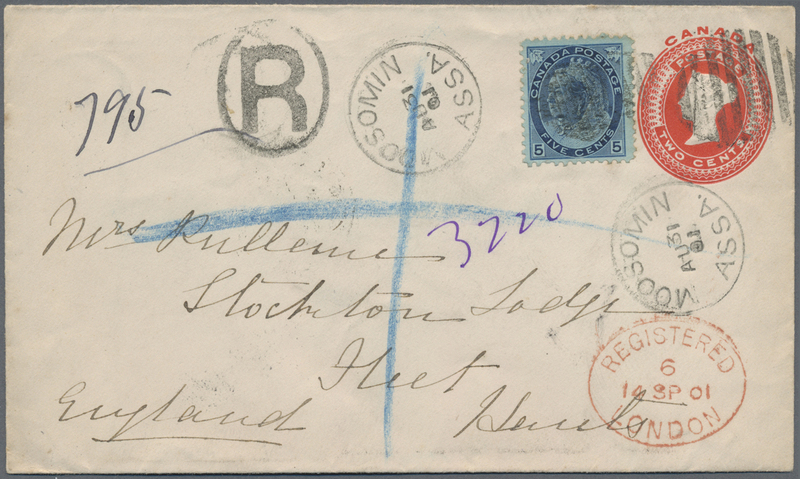 bright violet tied by circle of bars, with '11 Aug 33' despatch cds and Reg. 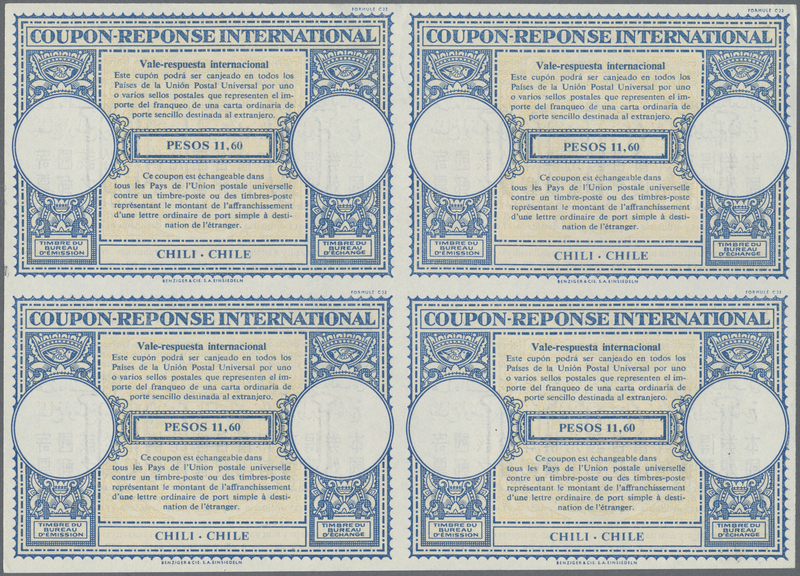 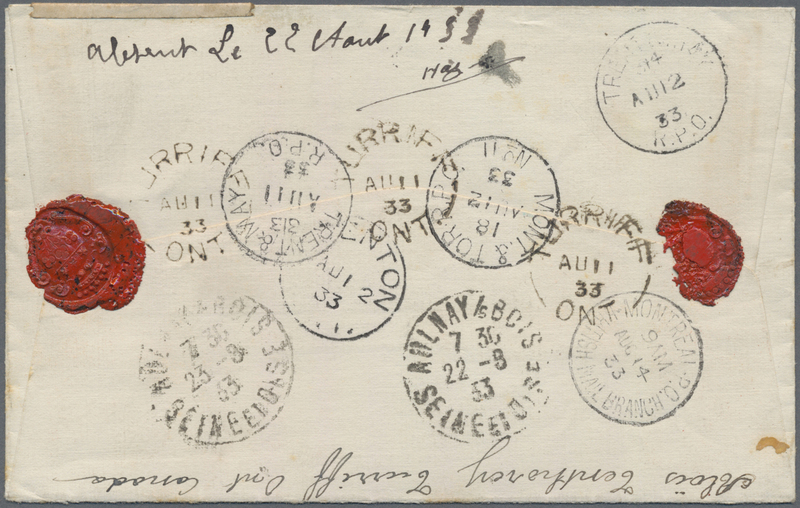 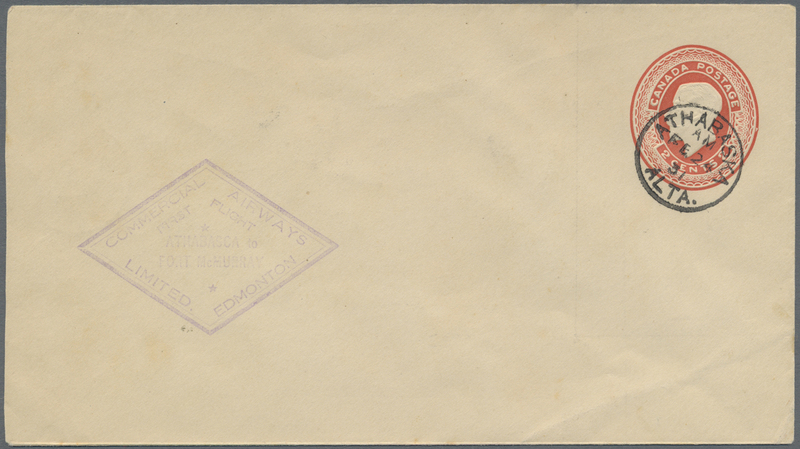 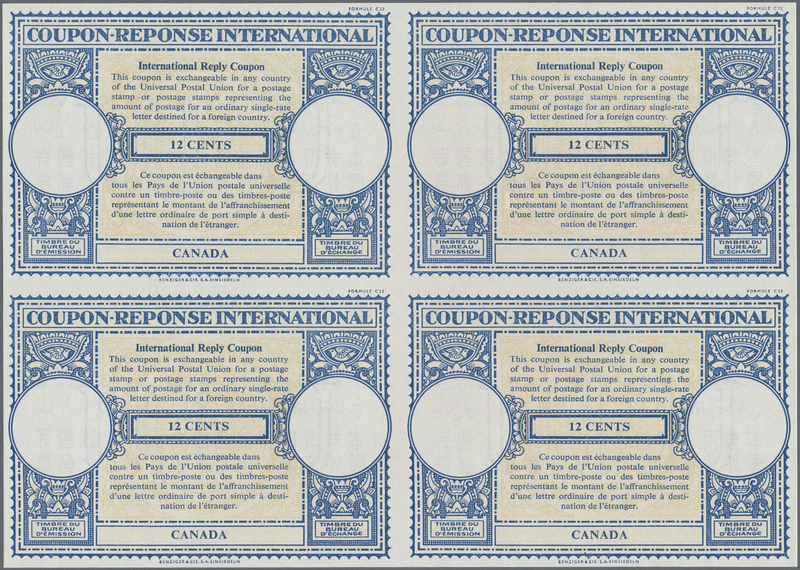 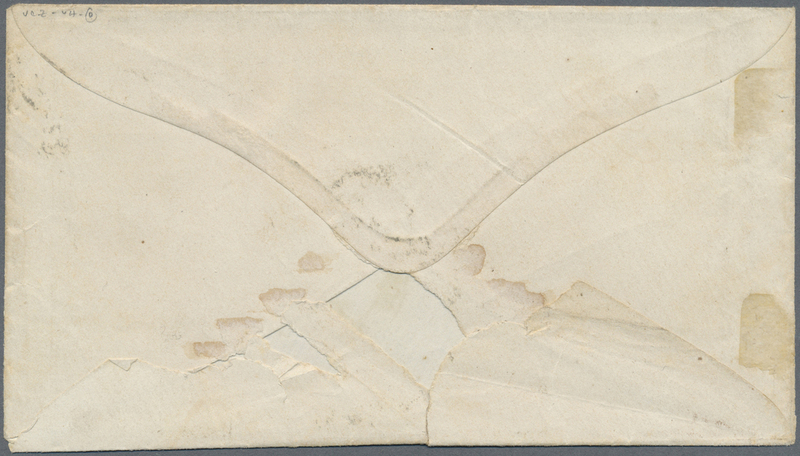 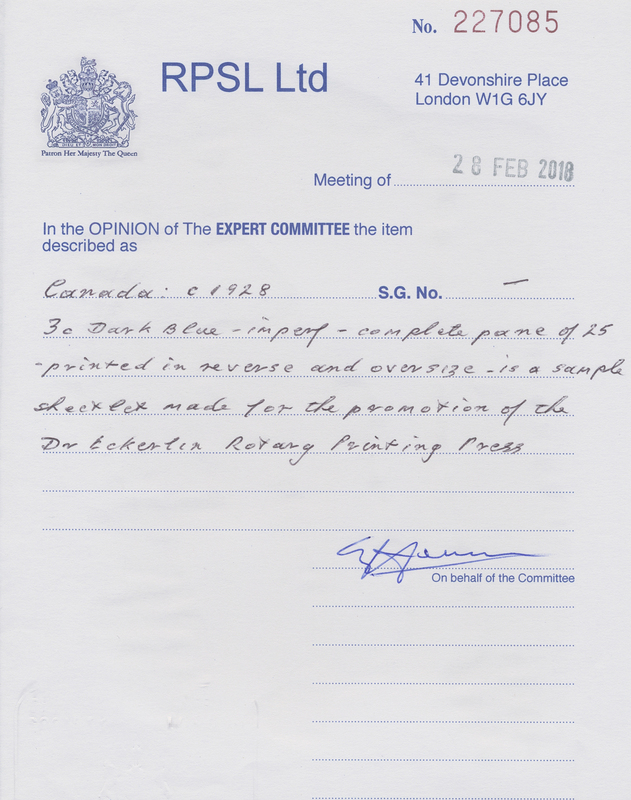 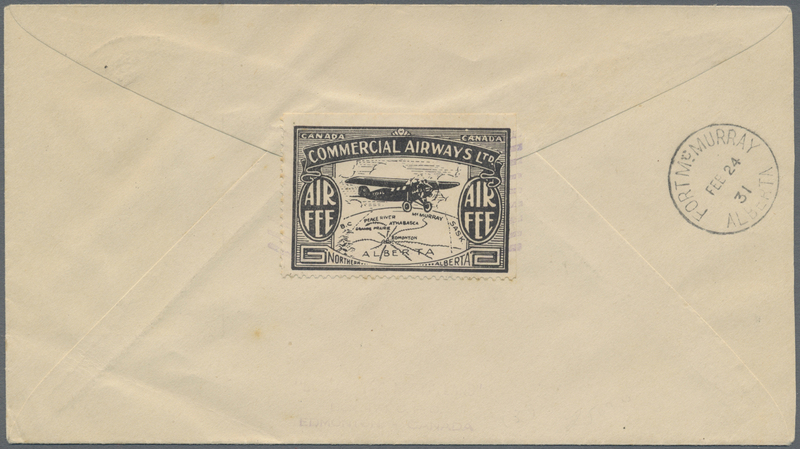 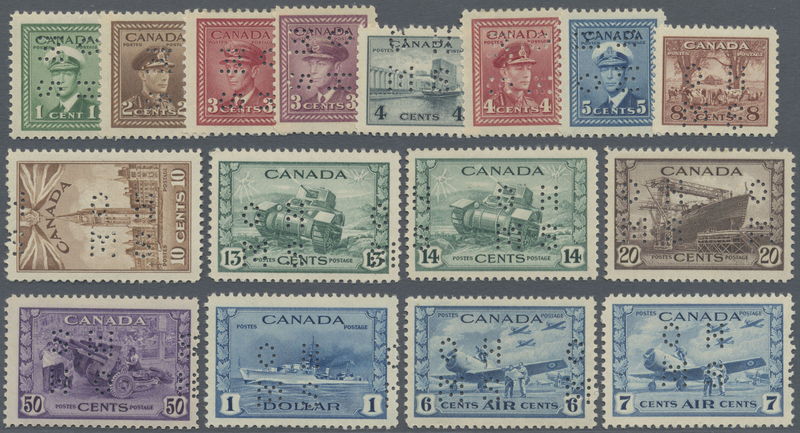 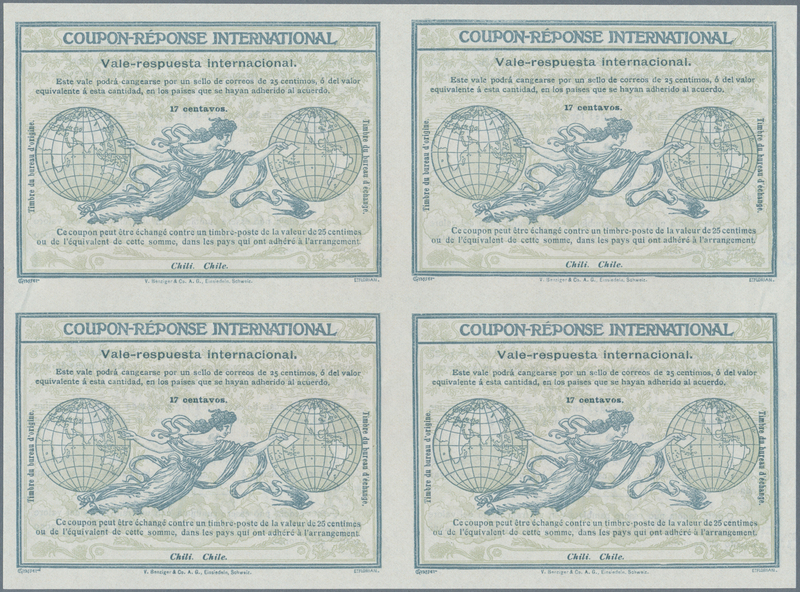 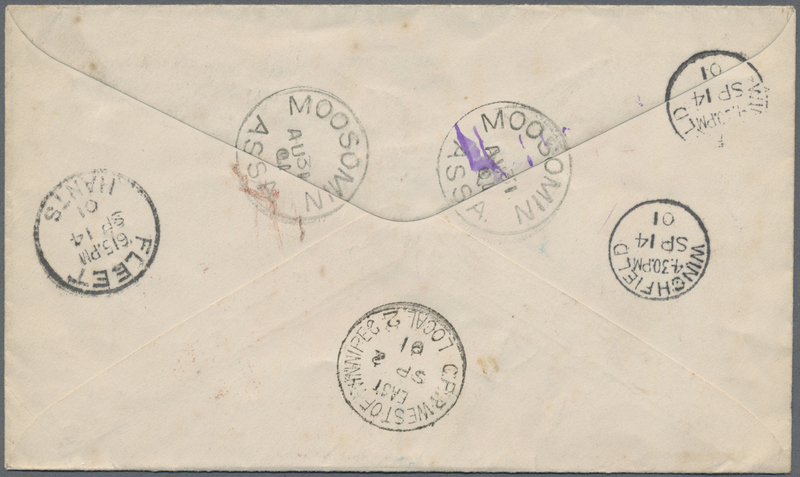 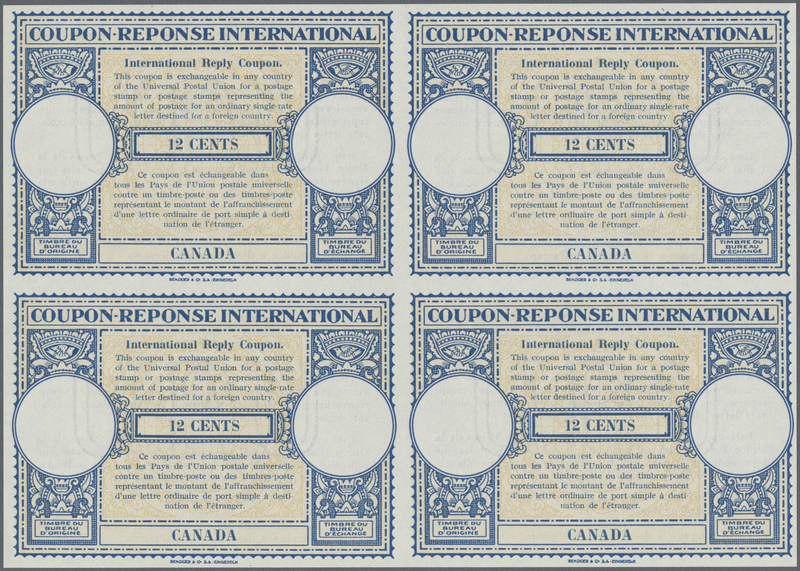 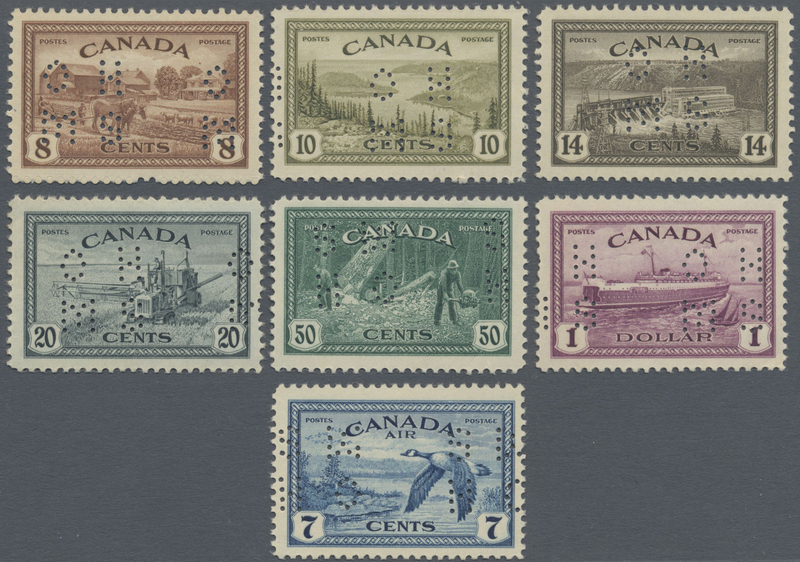 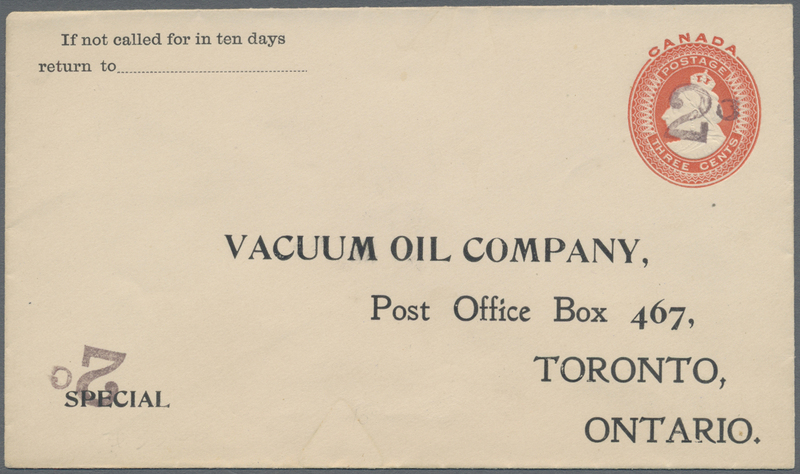 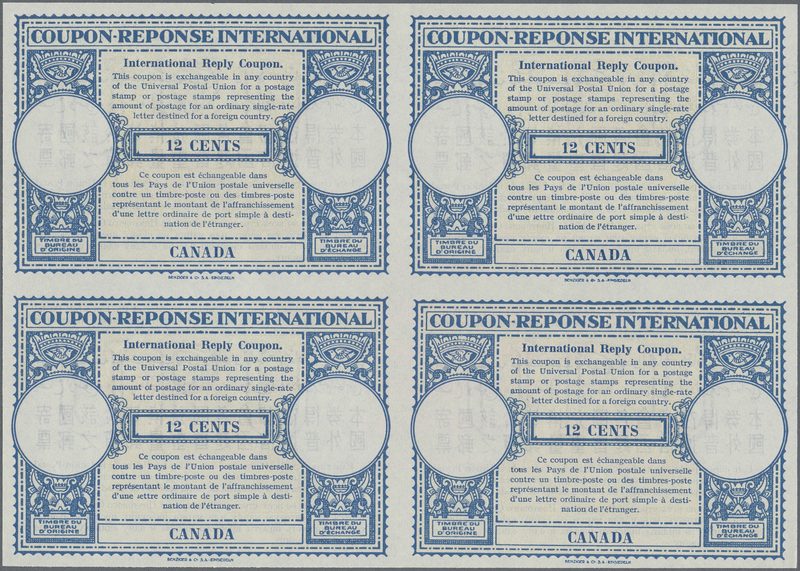 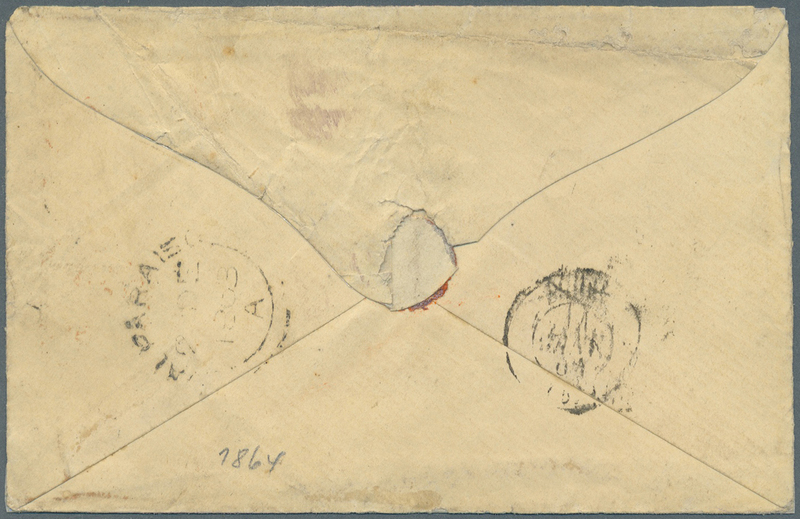 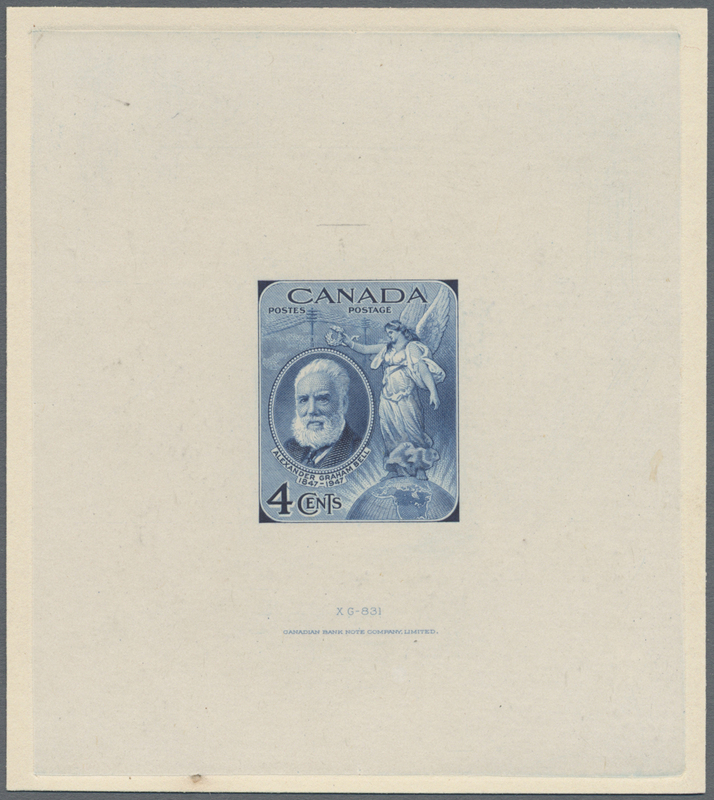 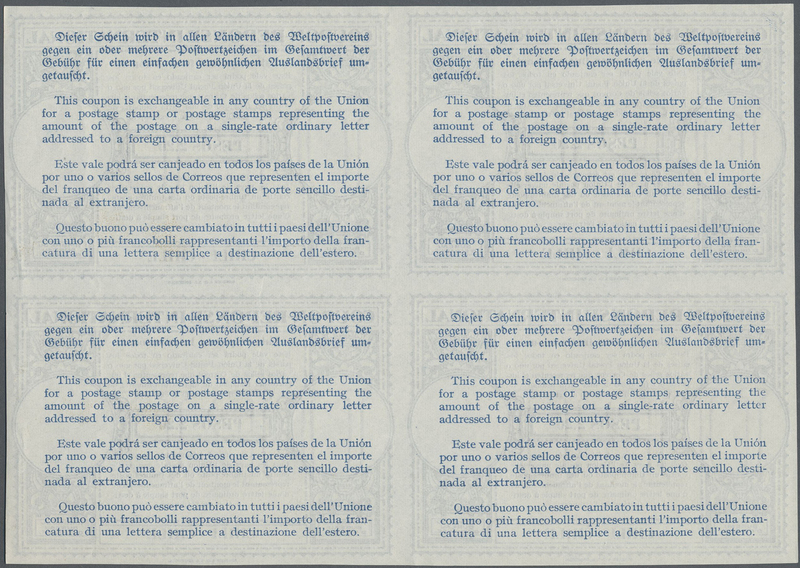 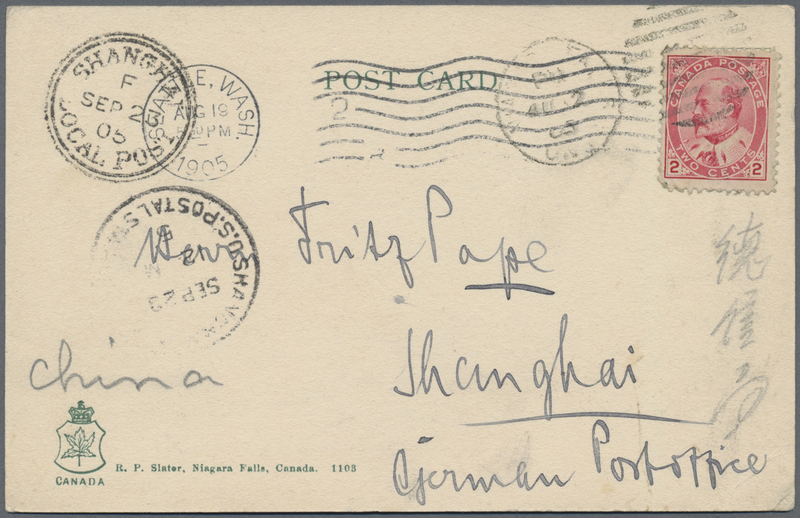 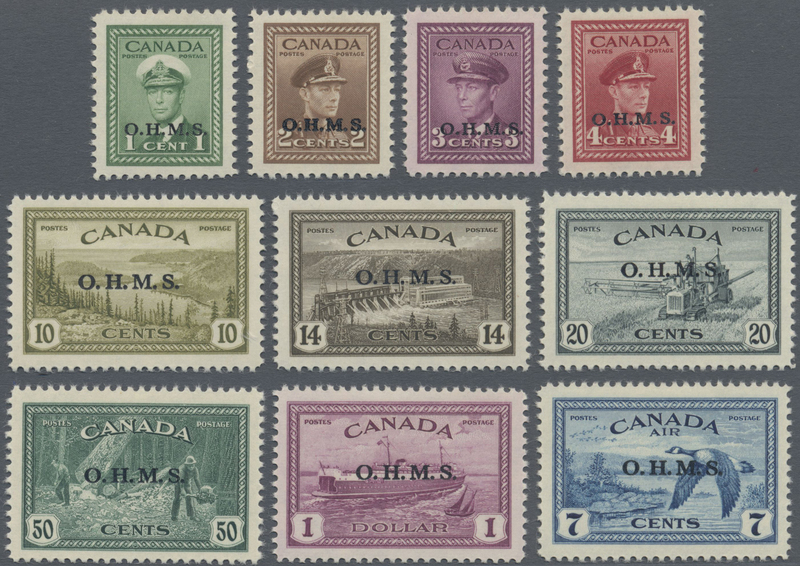 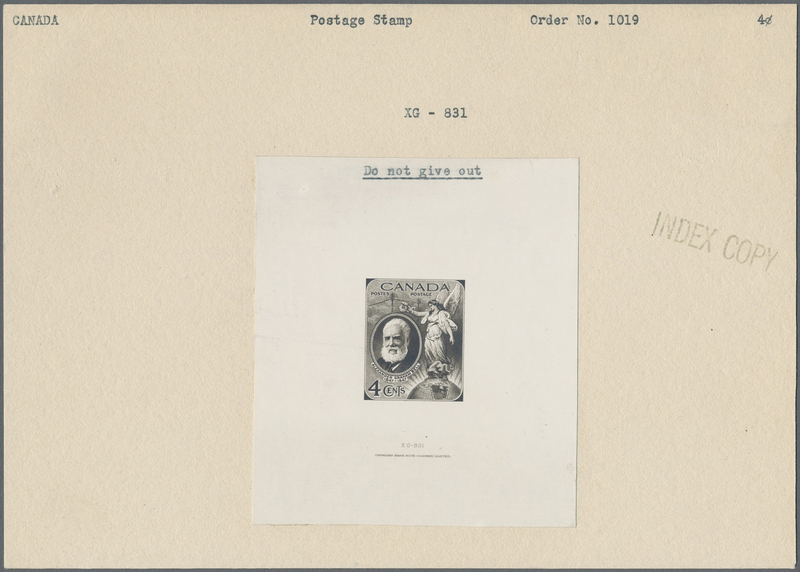 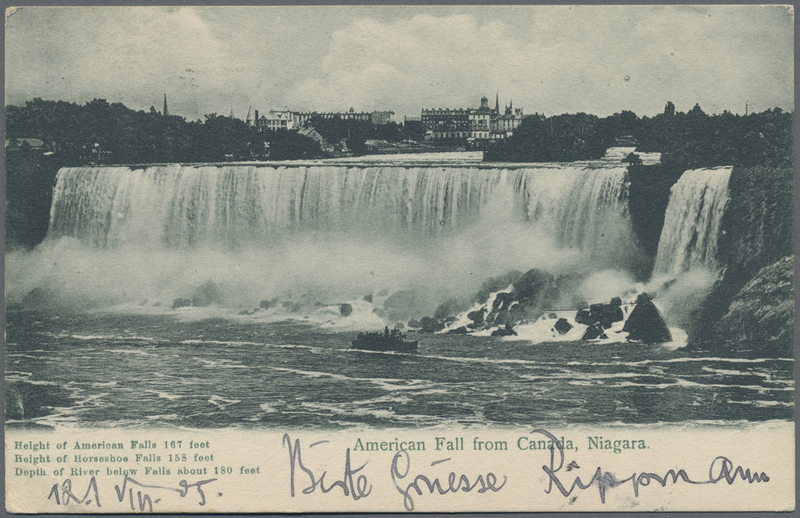 cachet alongside, and on the reverse with ten despatch, transit and arrival datestamps including 'Montreal P.O.-British Branch Office' cds, Canadian railway datestamps 'Trent & May R.P.O.' 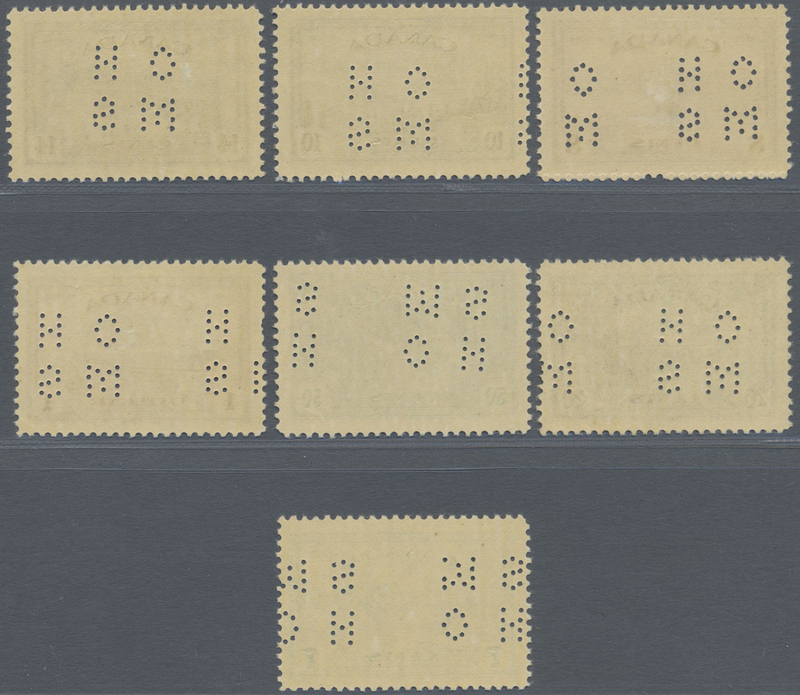 and 'Mont. 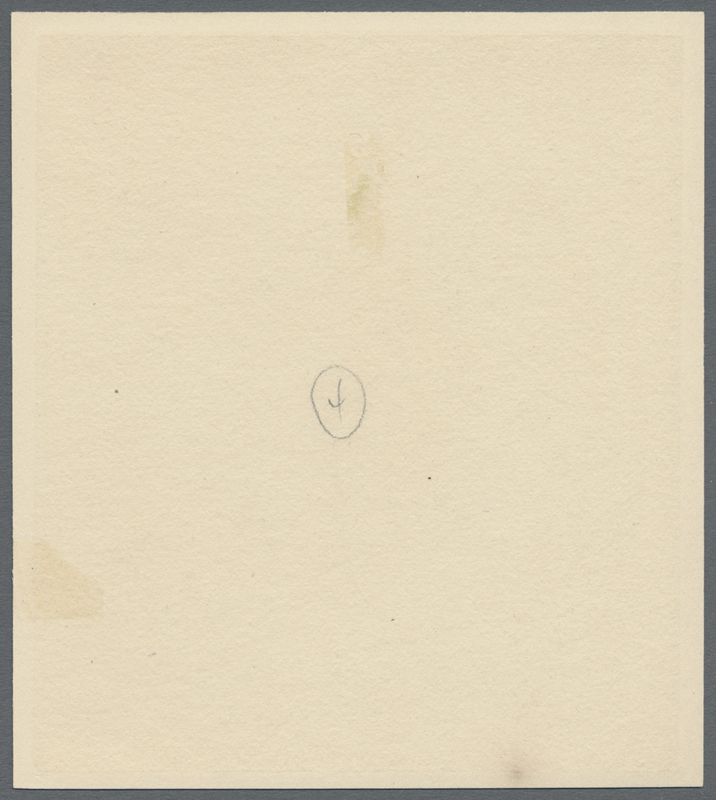 & Tor. 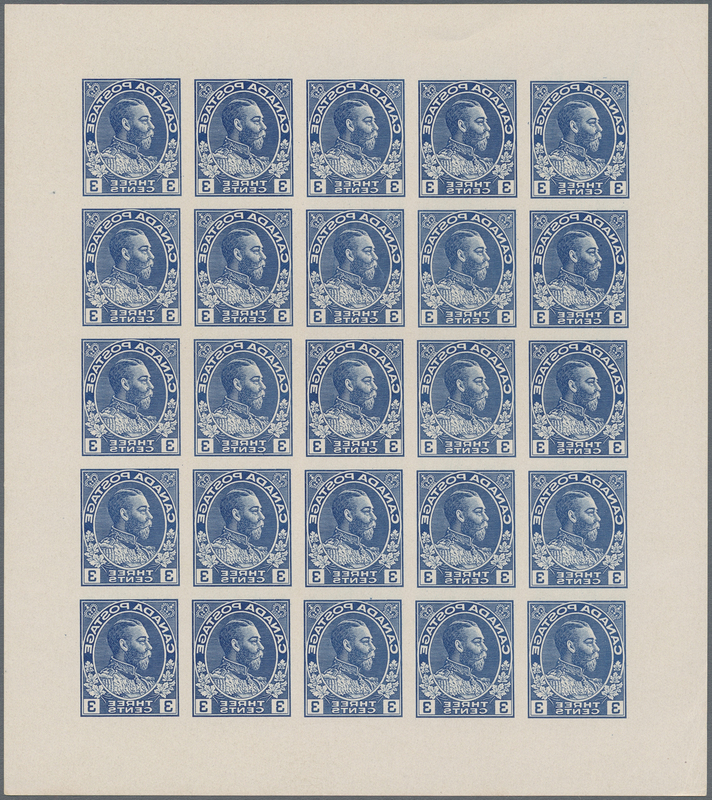 R.P.O.' 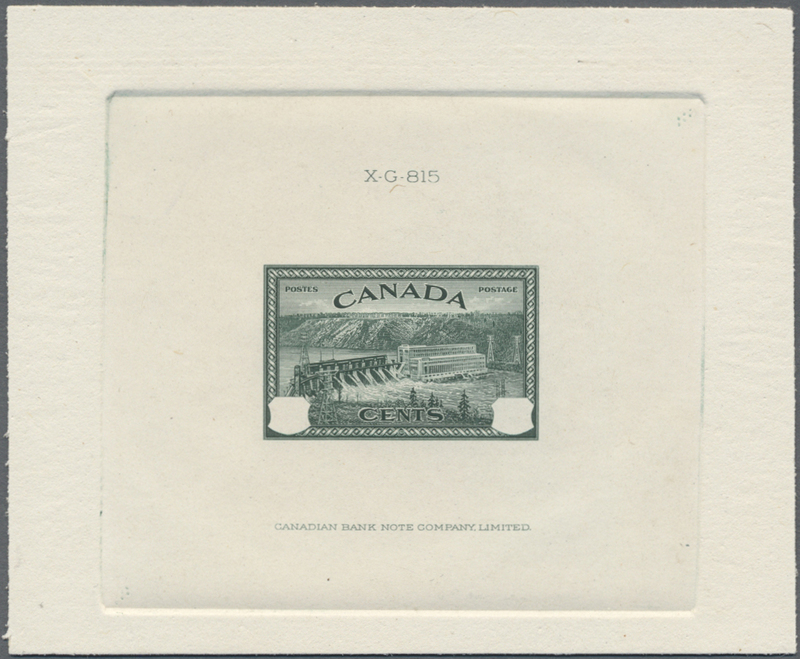 etc., stamp lightly toned/soiled but an unusual cover. 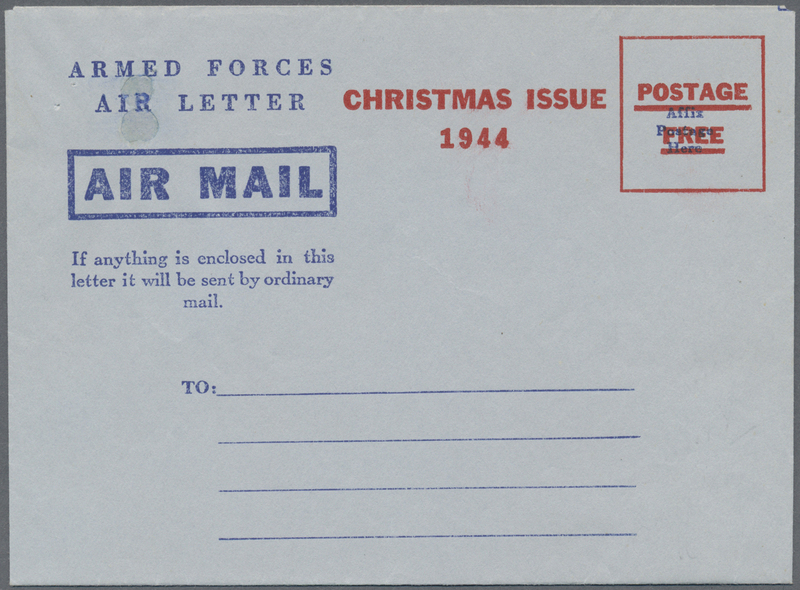 11749 Ganzsache (Complete) 1944, armed forces air letter, christmas issue 1944, unused mint, punchholes (some closed), #101, rare. 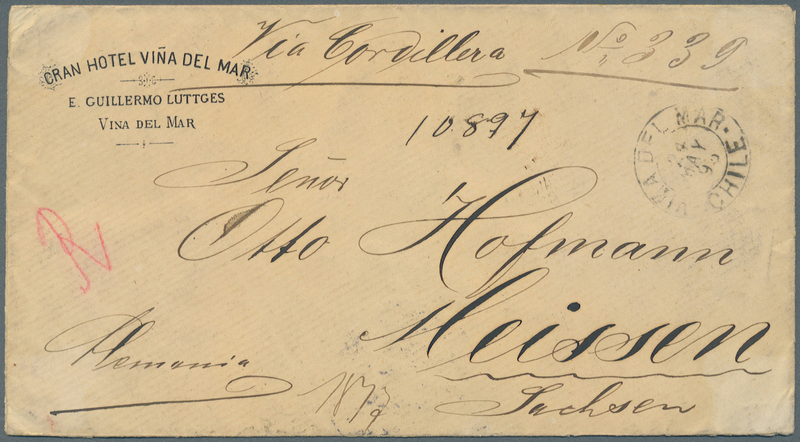 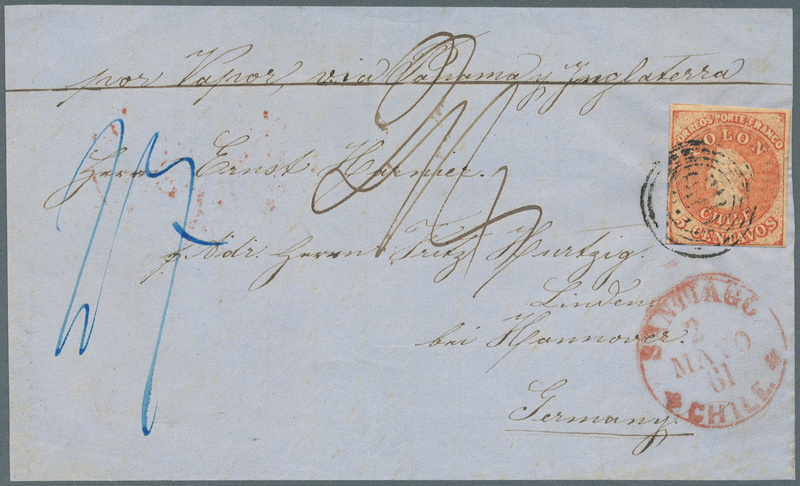 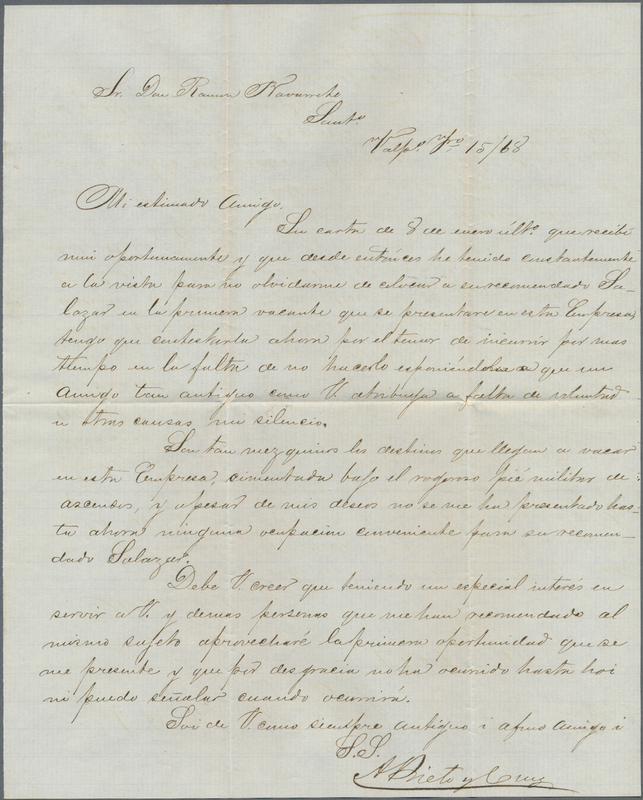 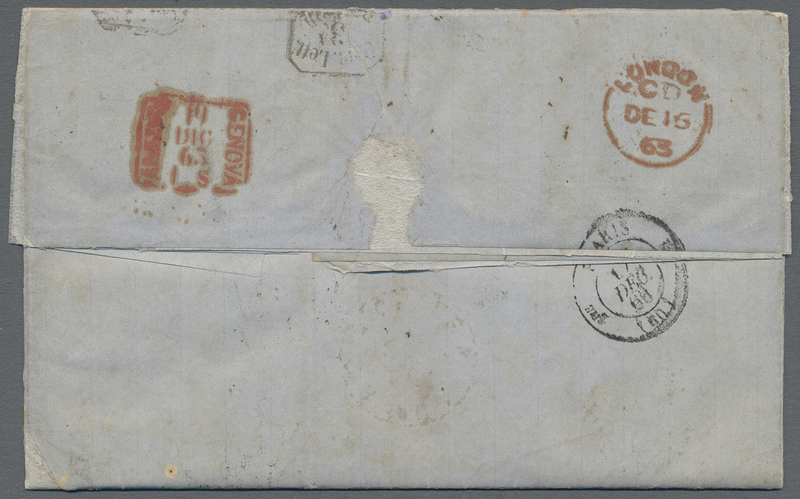 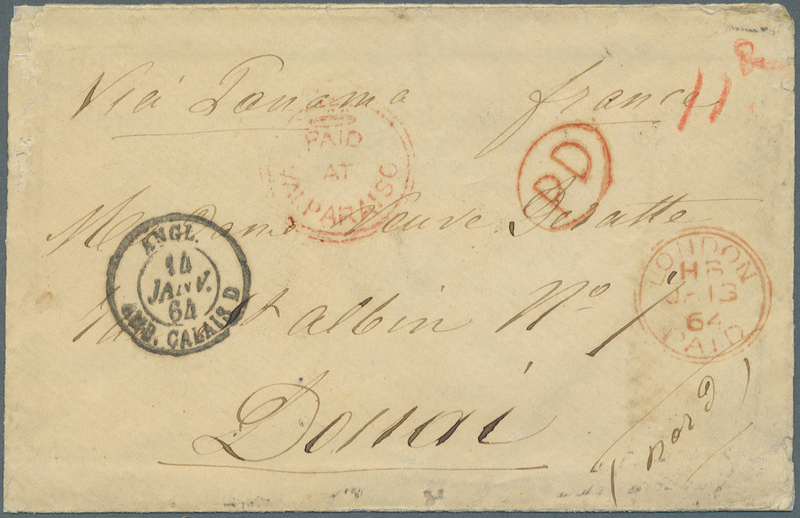 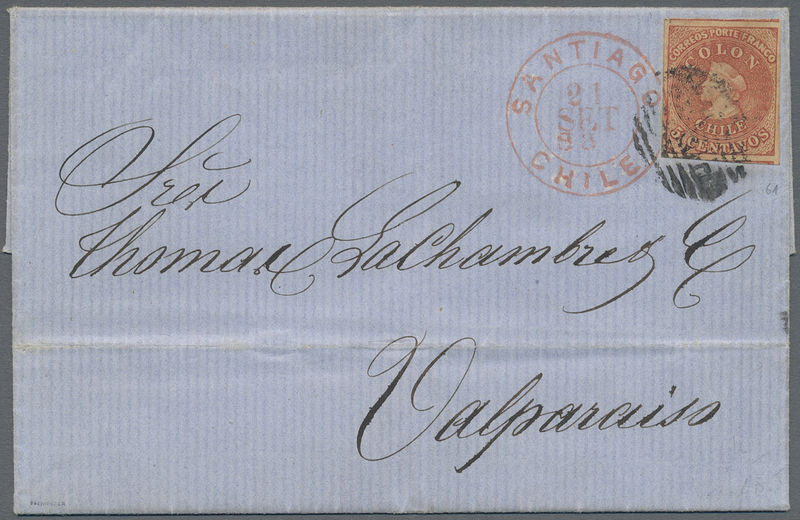 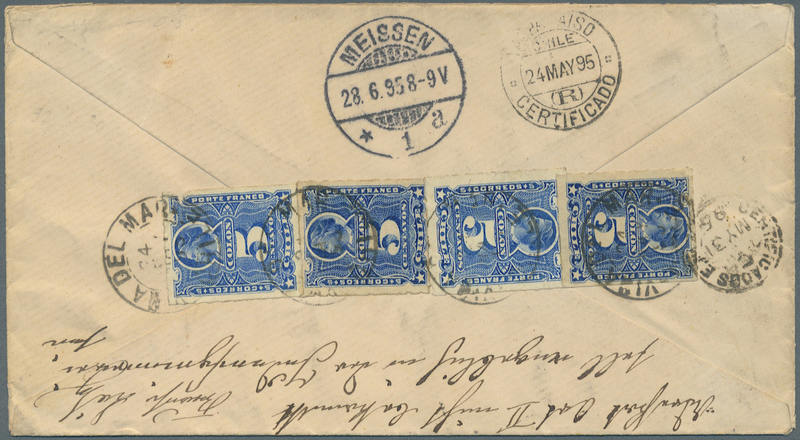 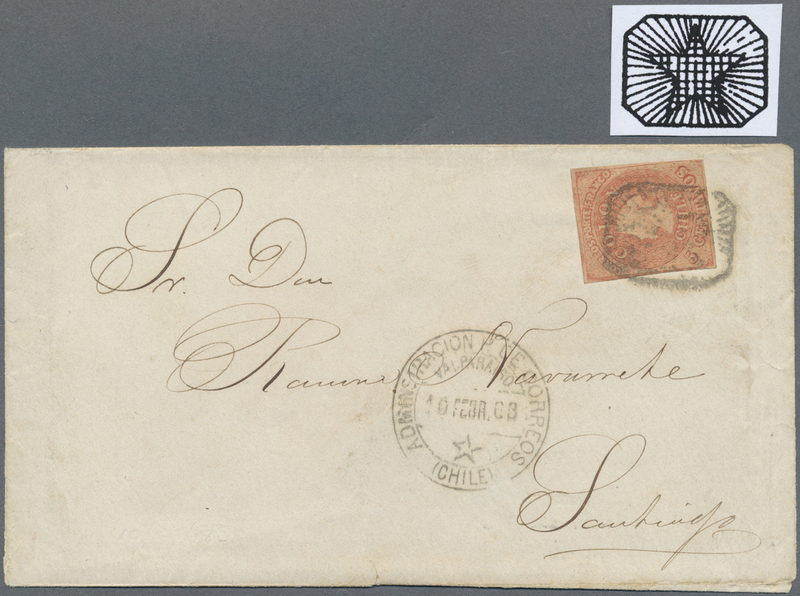 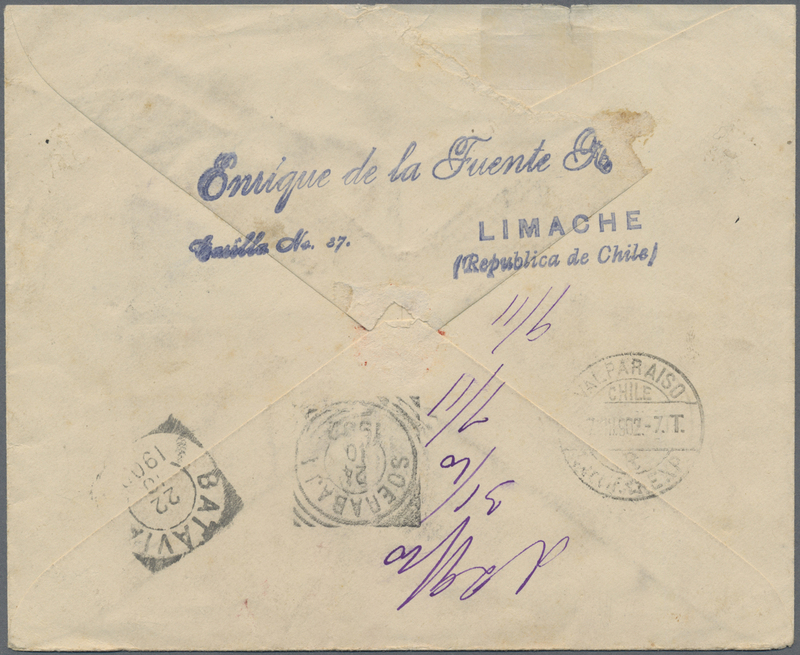 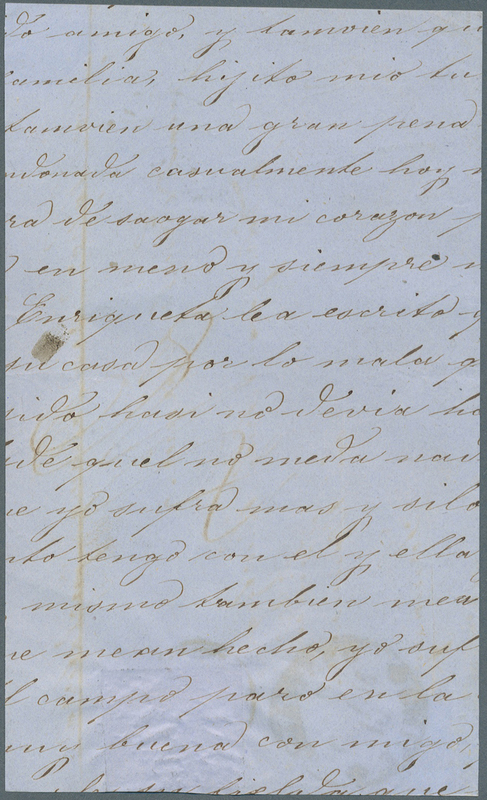 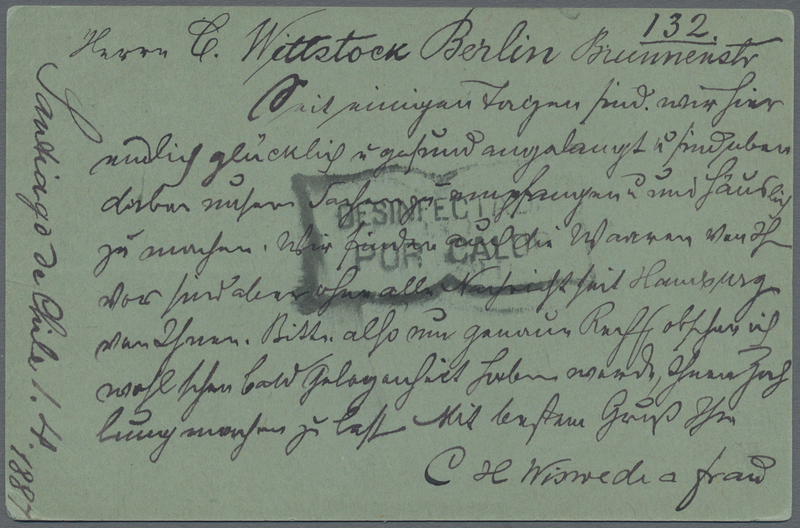 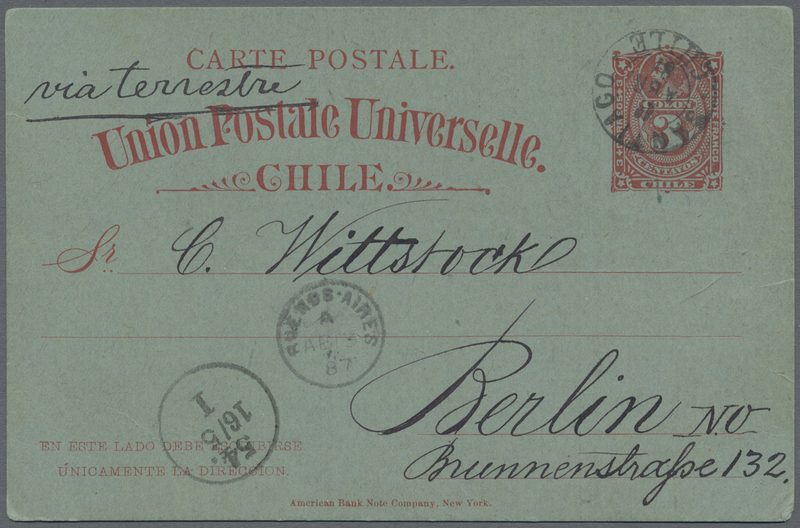 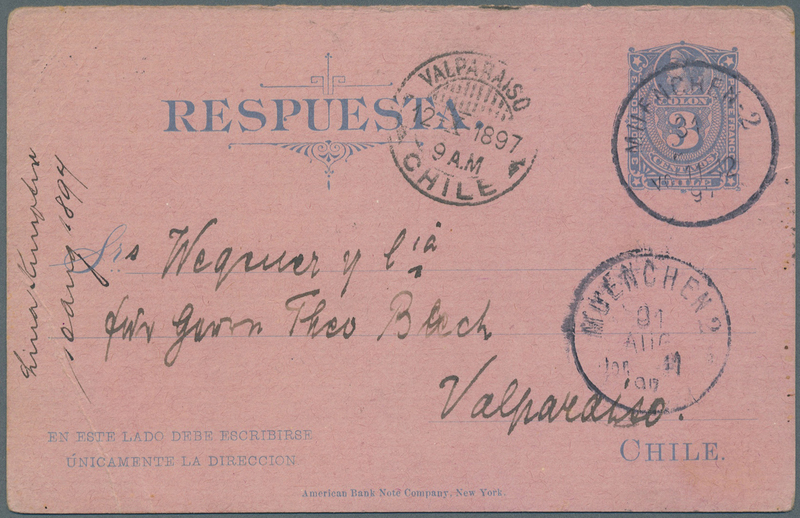 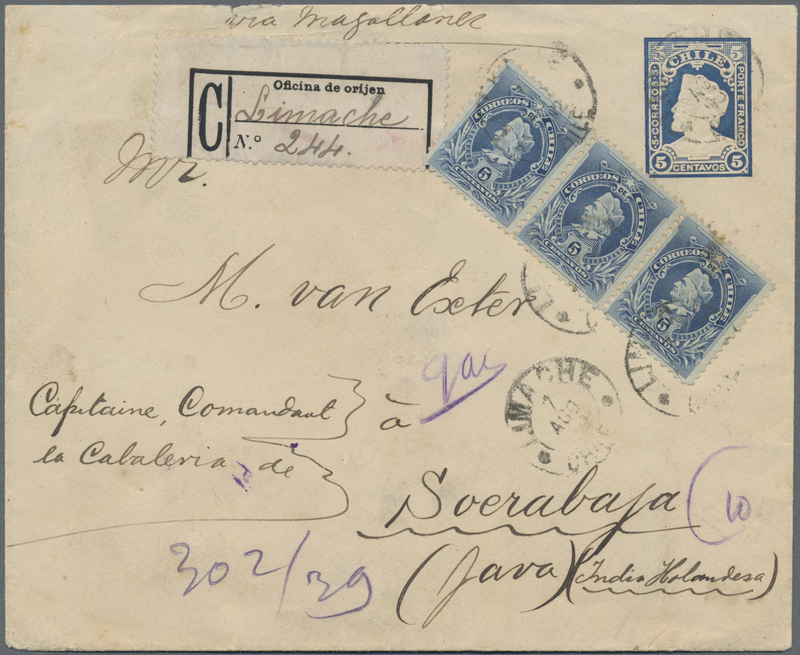 11764 Brief (cover) 34 1895: CHILE COVER SENT DURING THE OCCUPATION OF PERU TO SENEGAL. 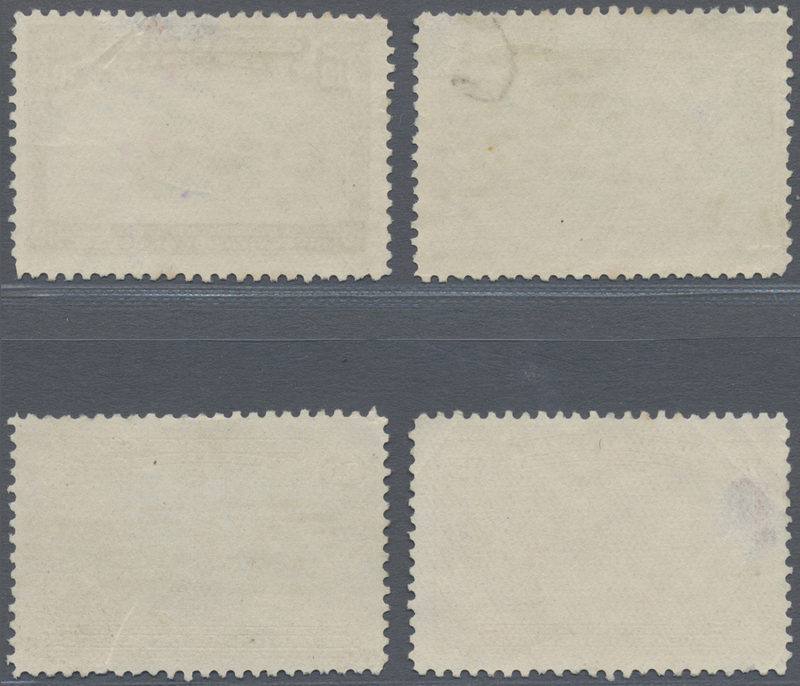 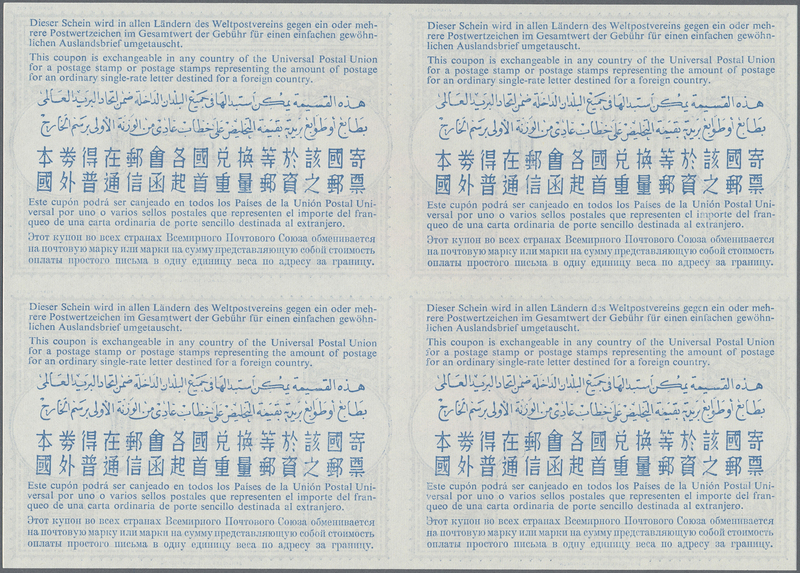 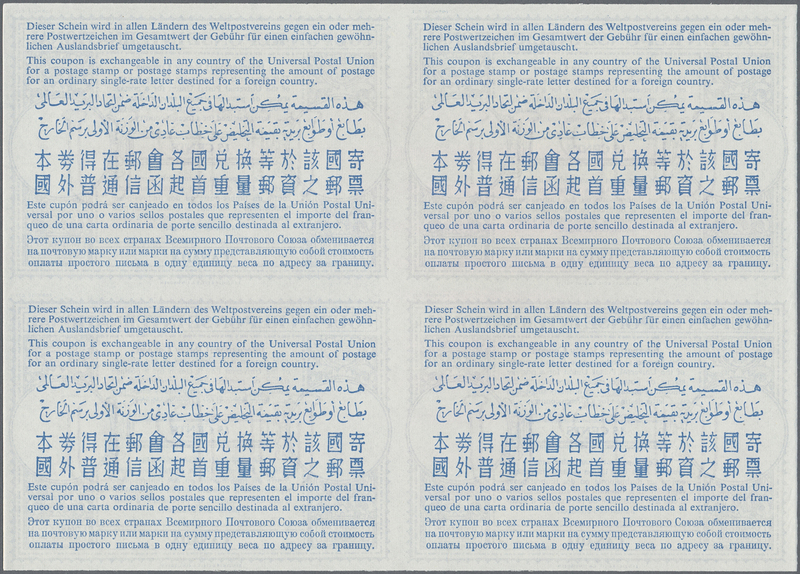 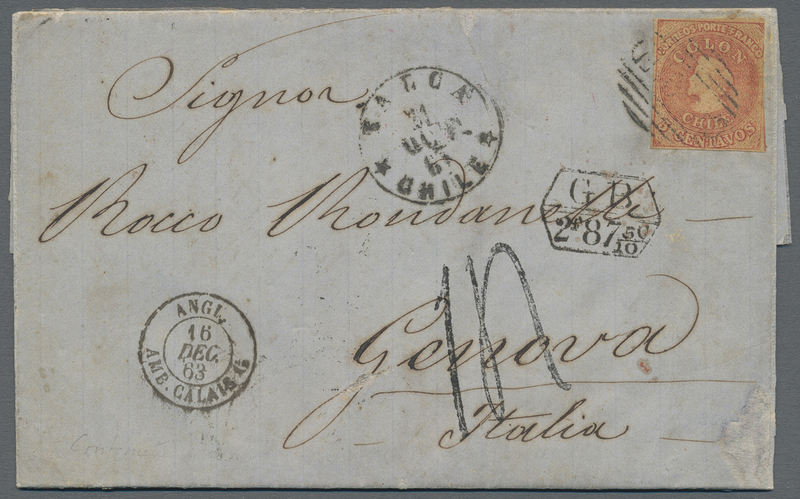 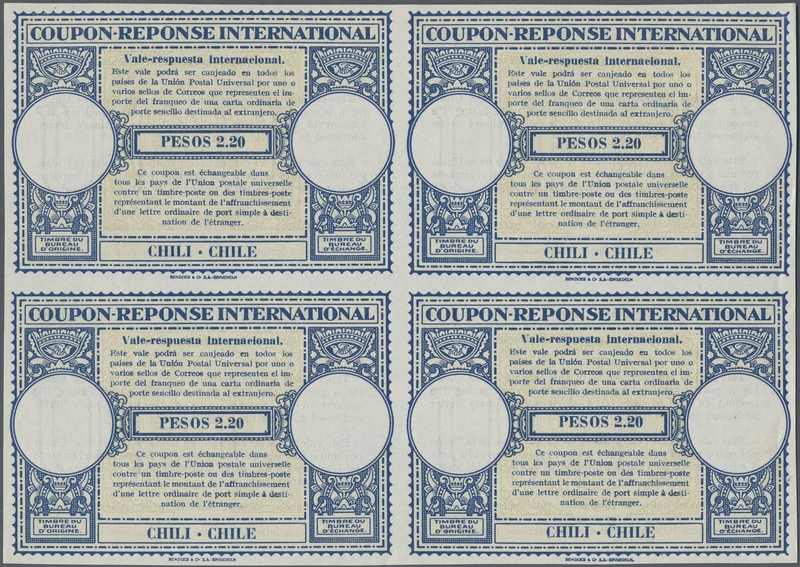 the middle and far left without affecting the stamps.